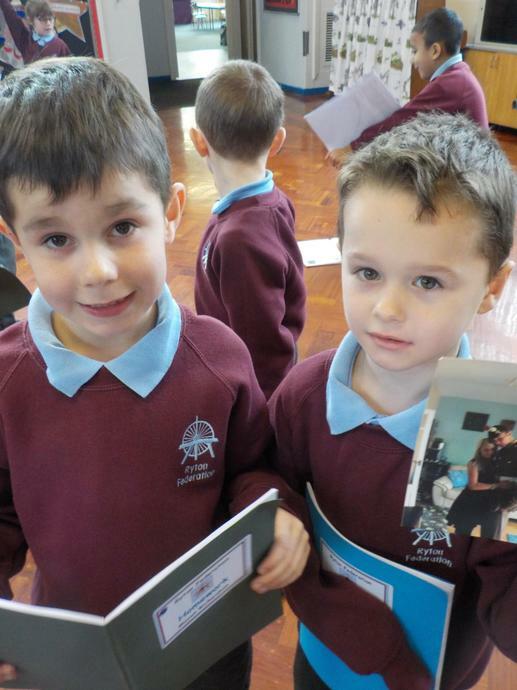 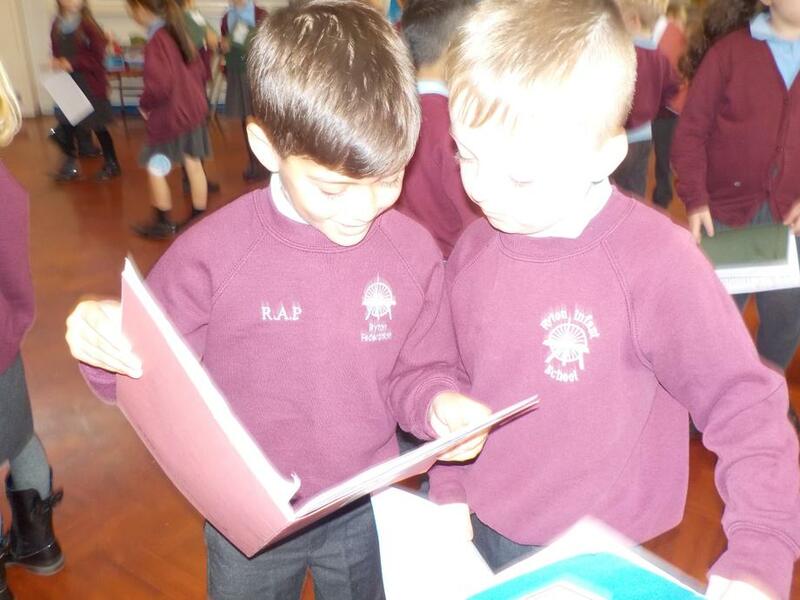 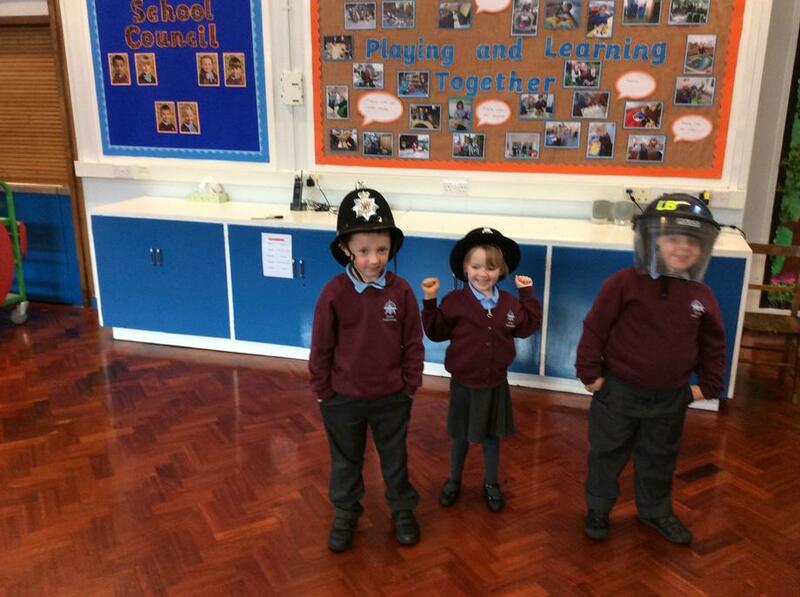 Year 1 and 2 enjoyed sharing their 'Heroes' homework. 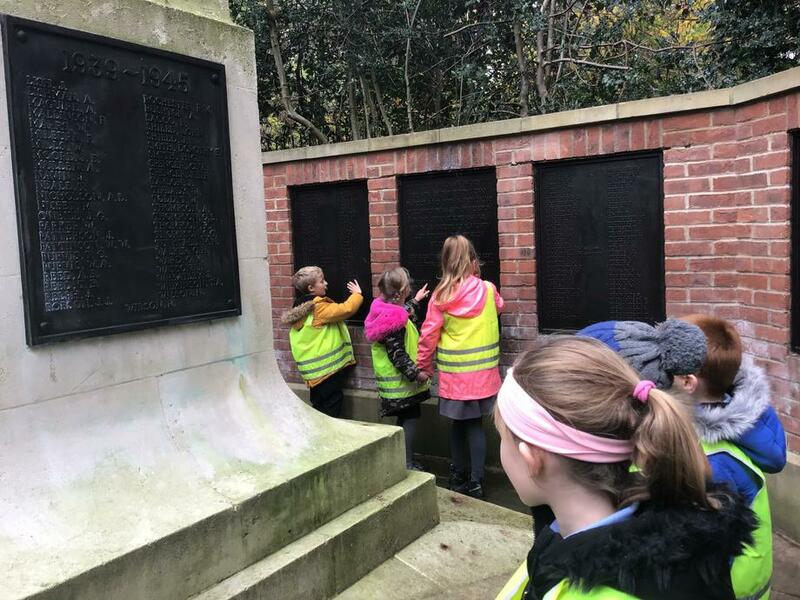 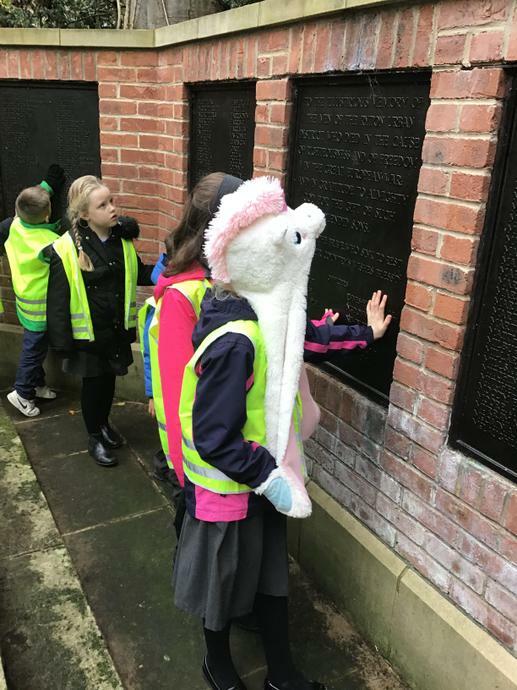 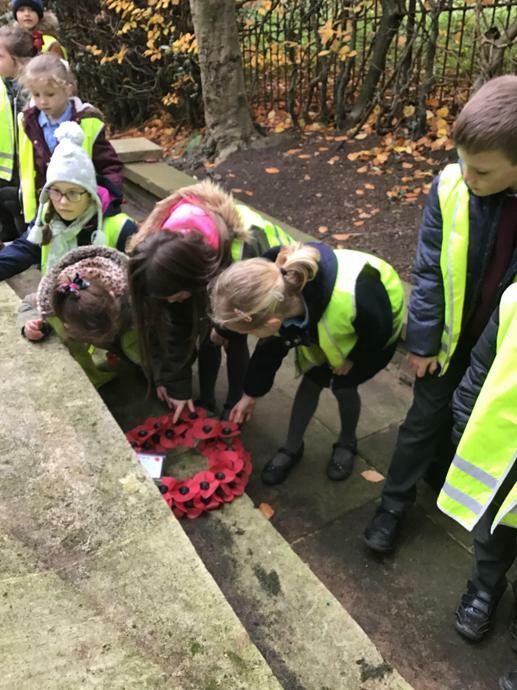 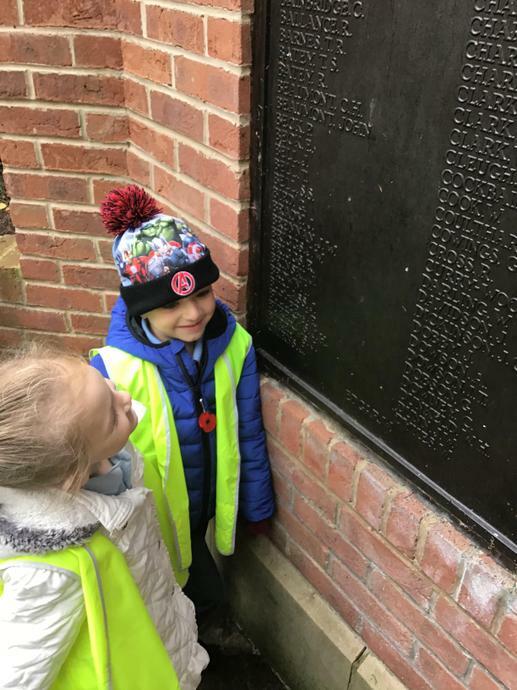 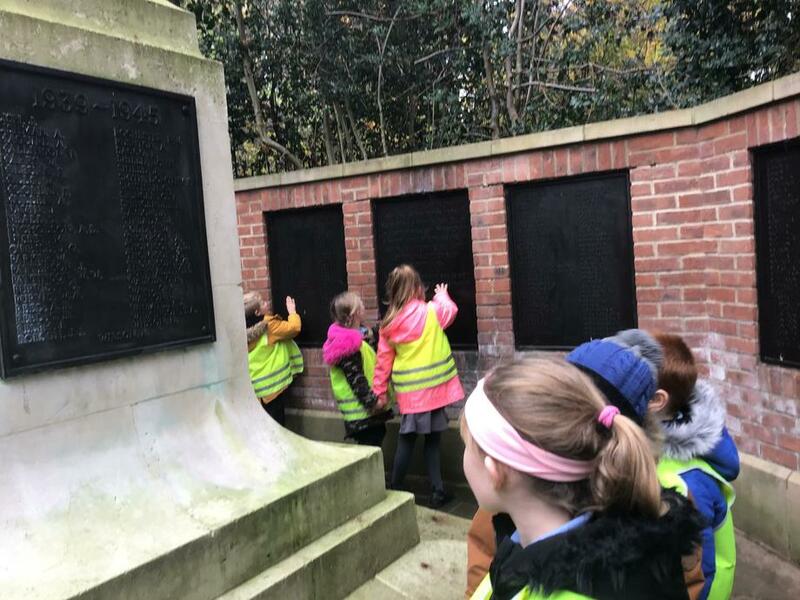 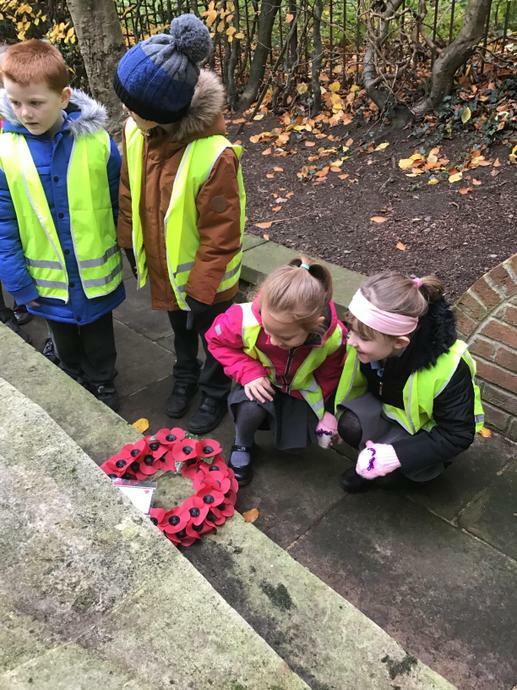 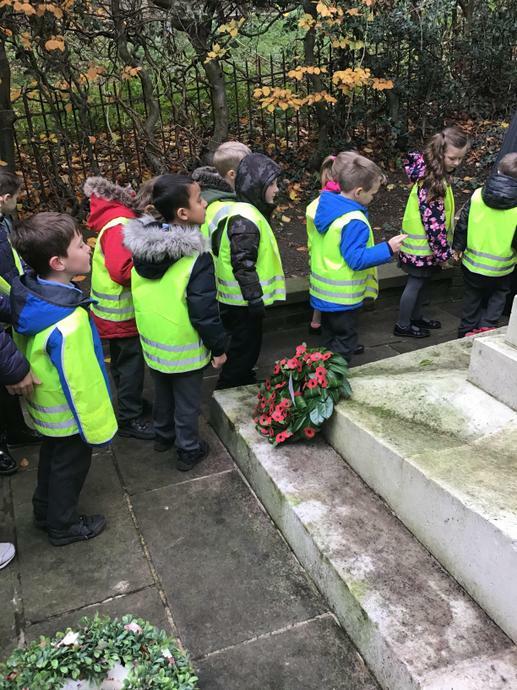 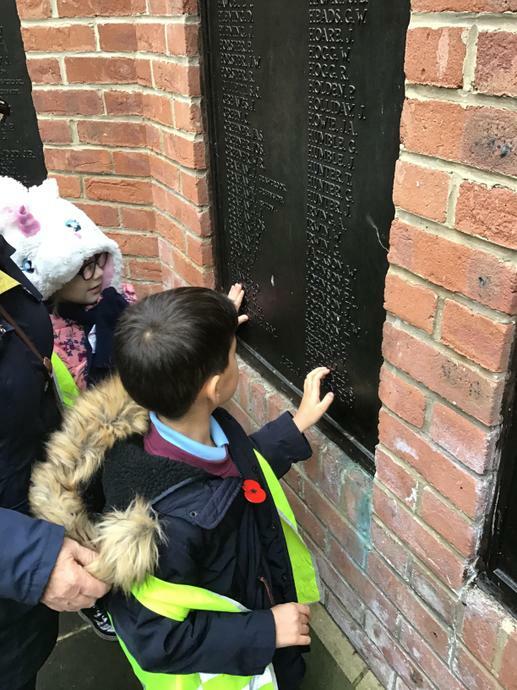 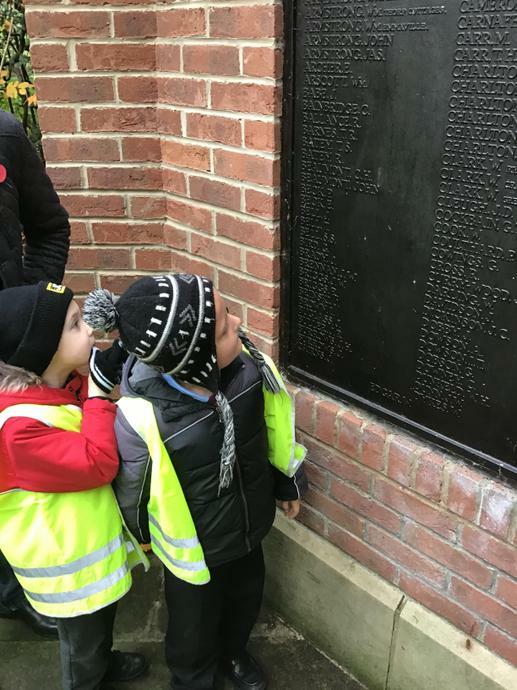 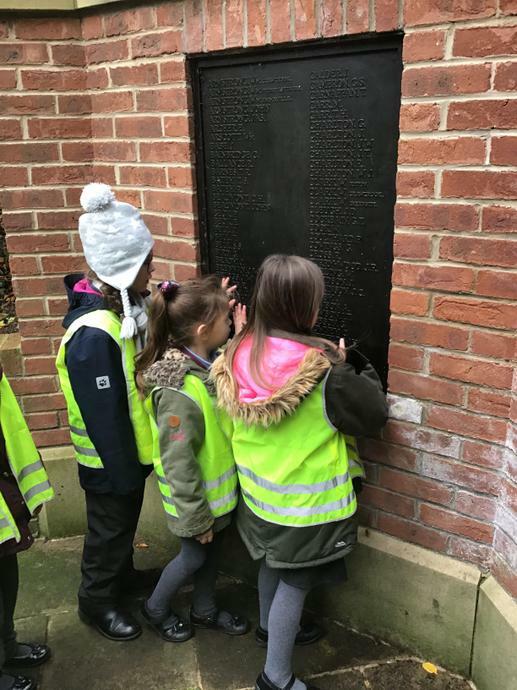 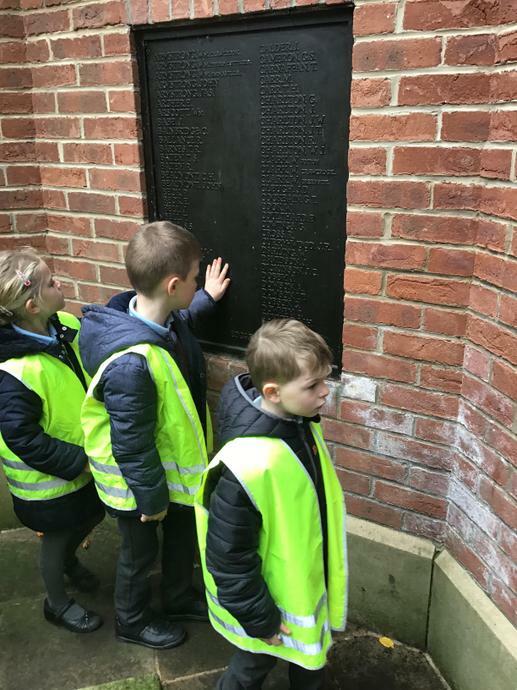 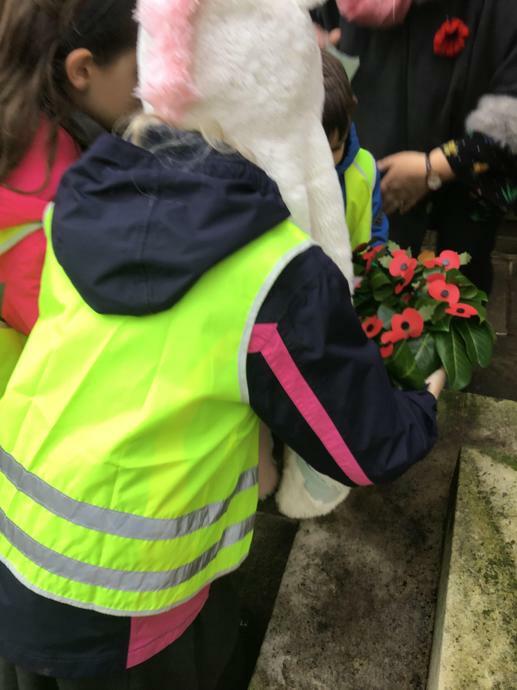 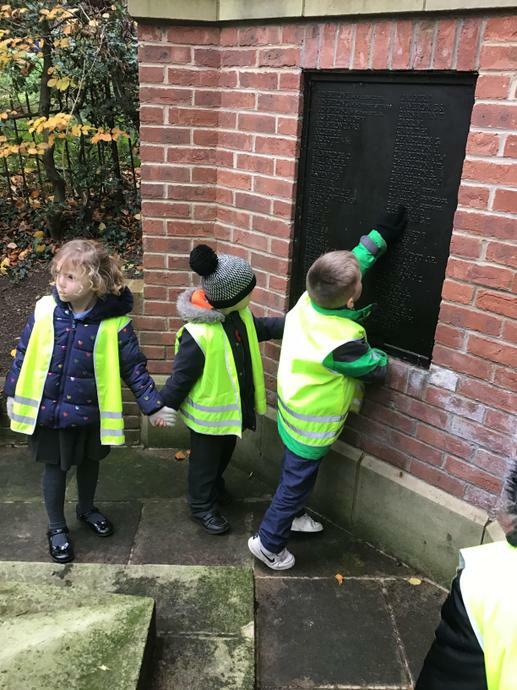 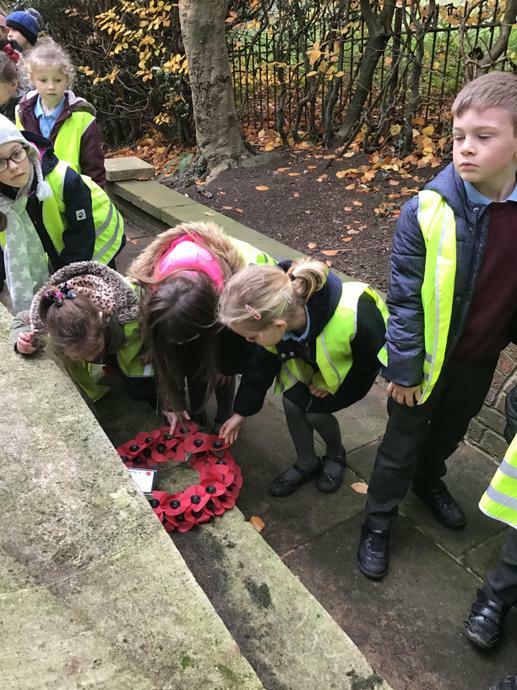 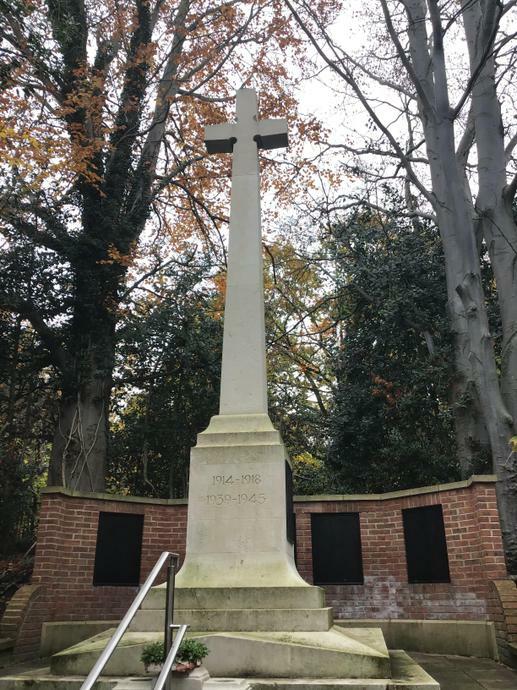 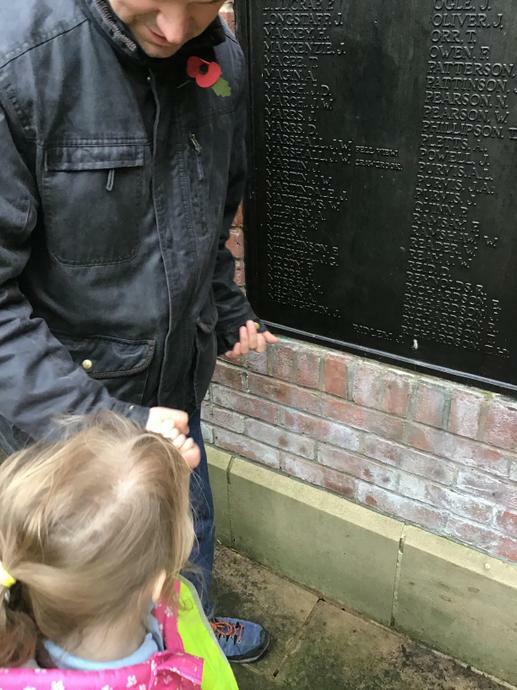 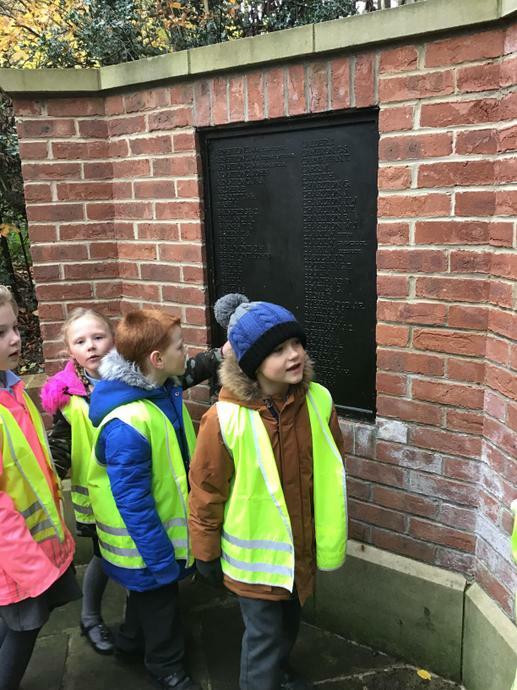 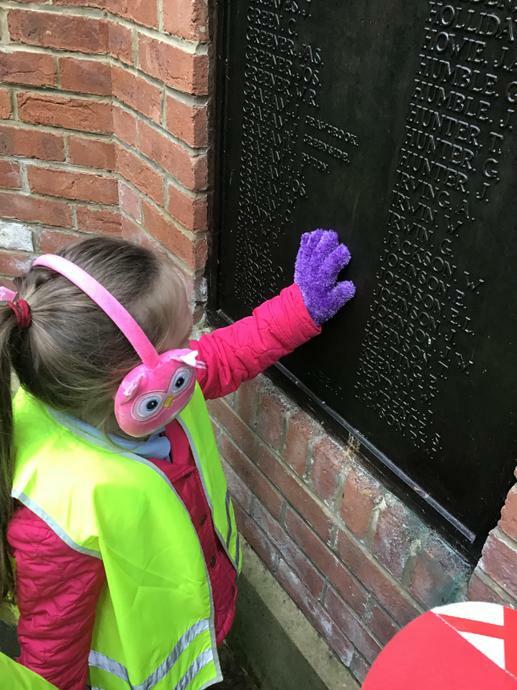 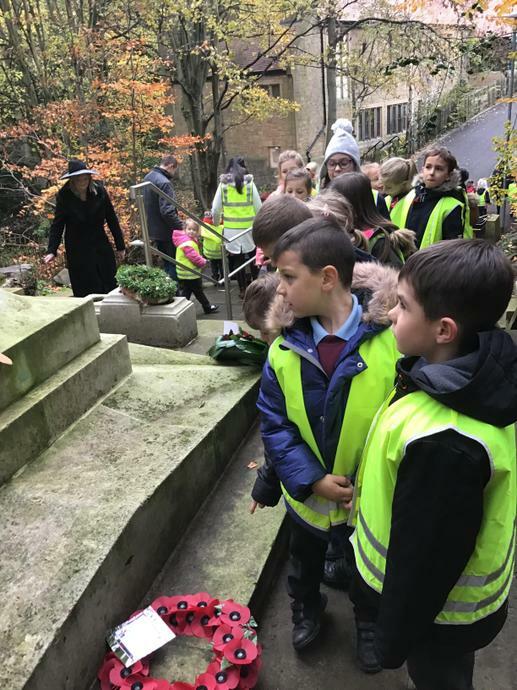 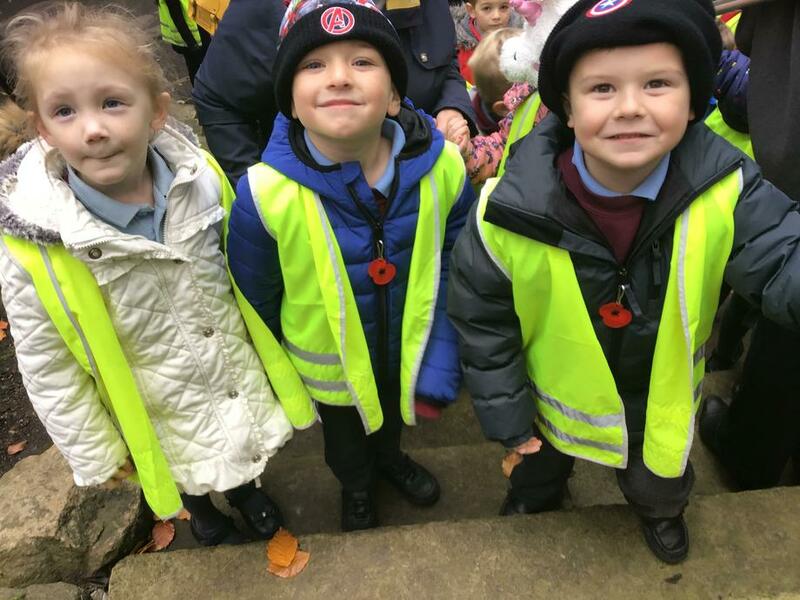 This morning Year 1 and 2 paid their respects at the War Memorial in Ryton Village. 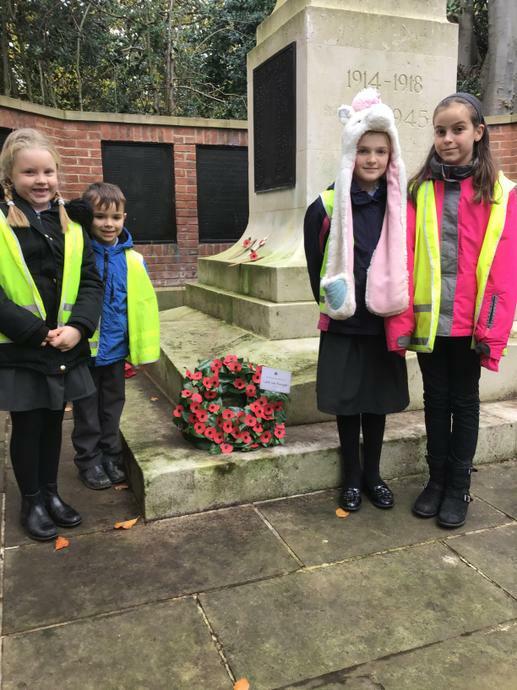 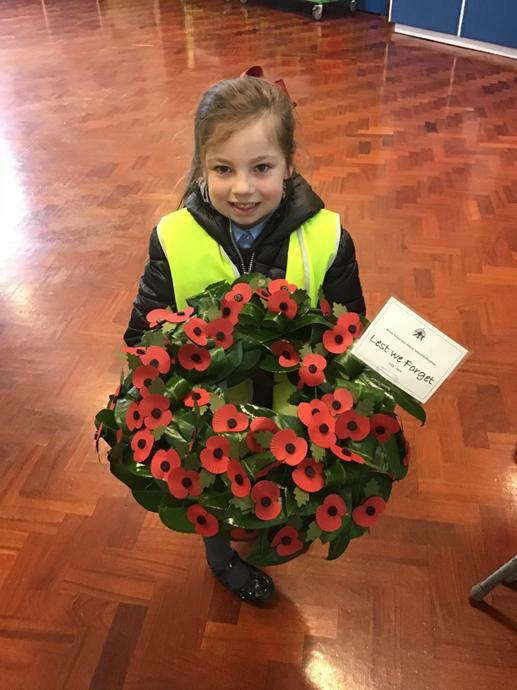 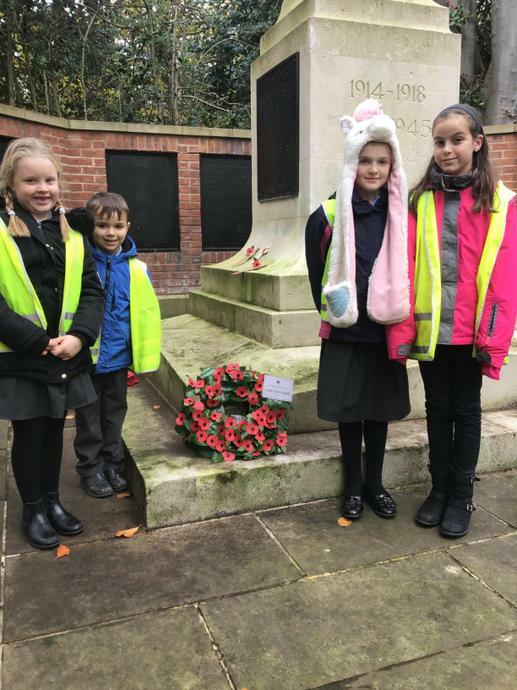 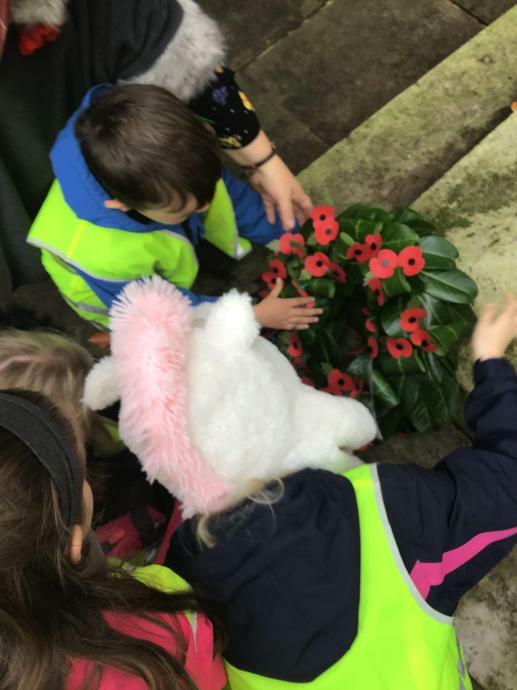 The School Councillors from Year 2 and Year 6 laid a wreath on behalf of the whole Federation. 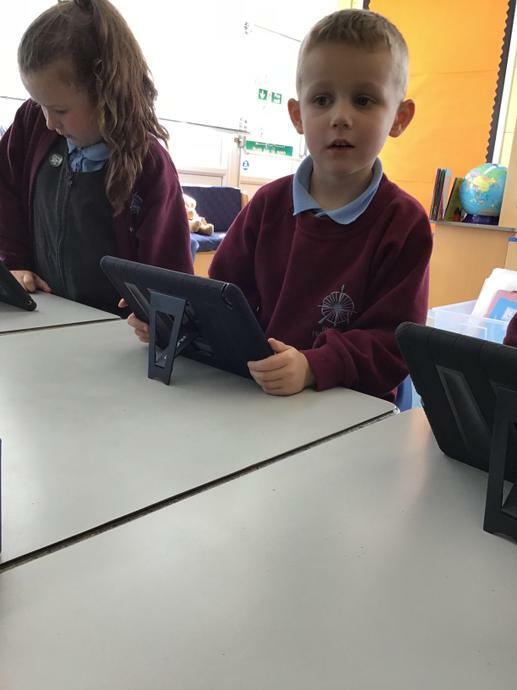 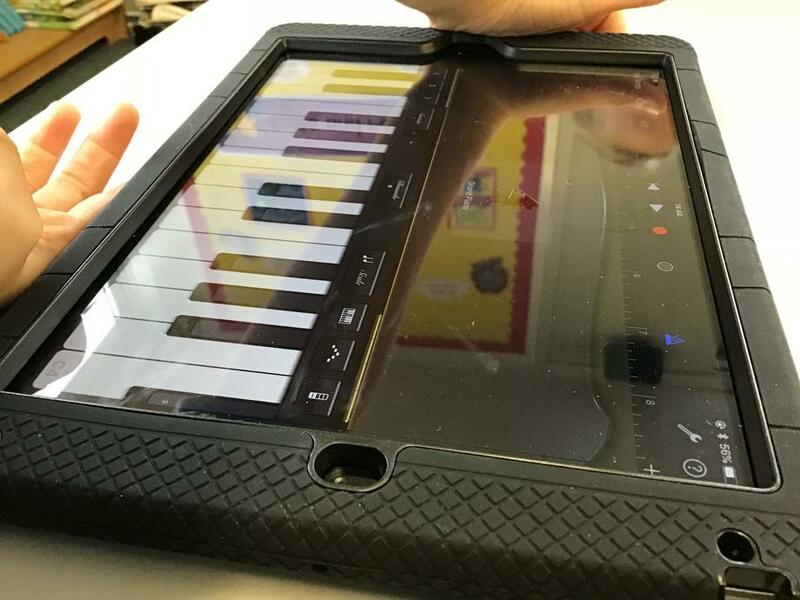 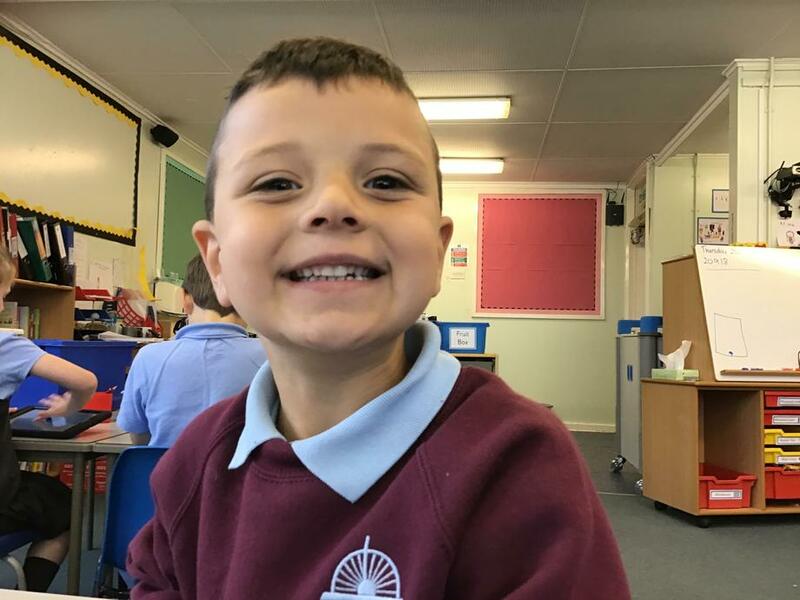 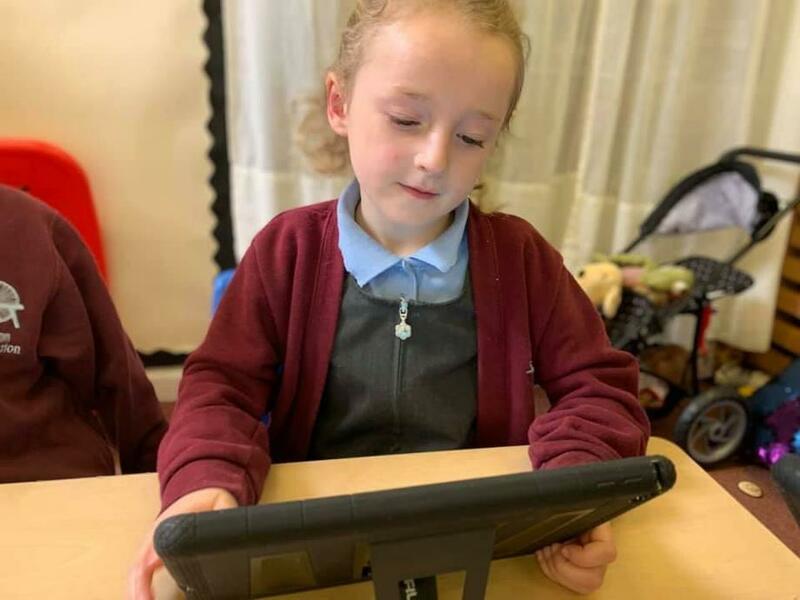 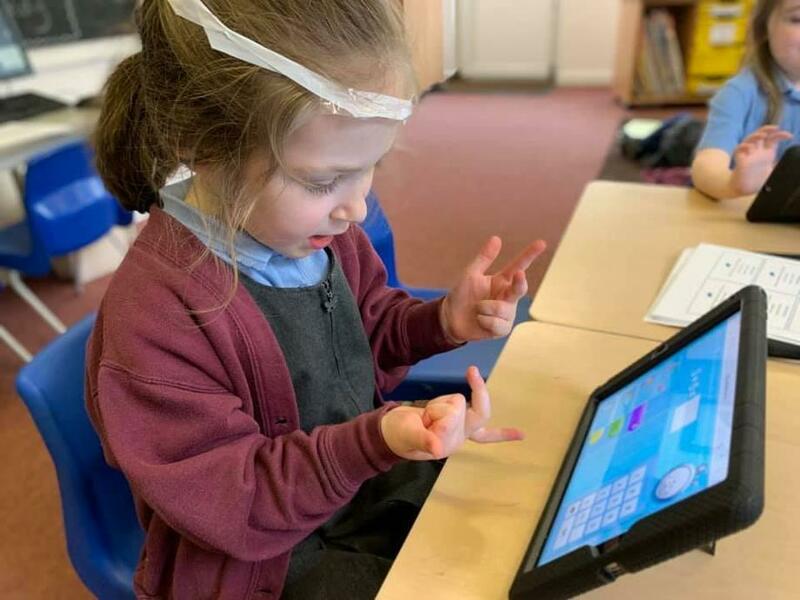 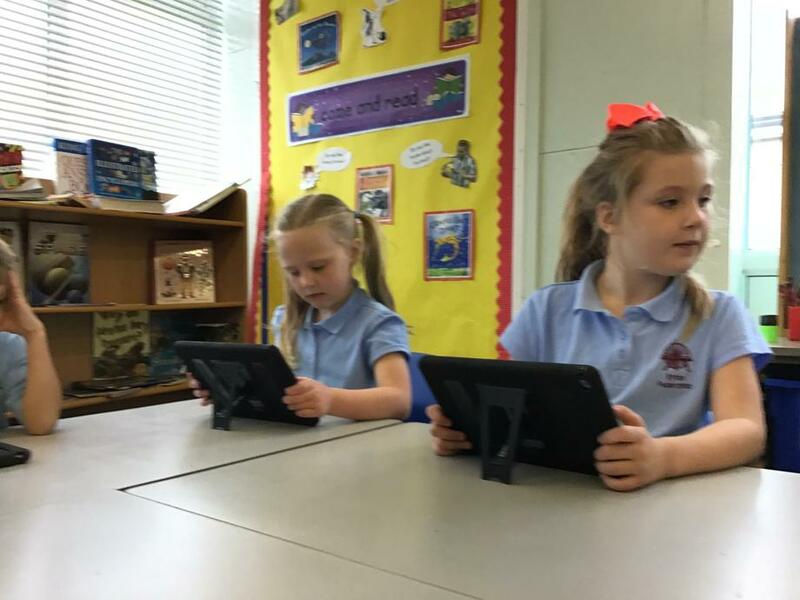 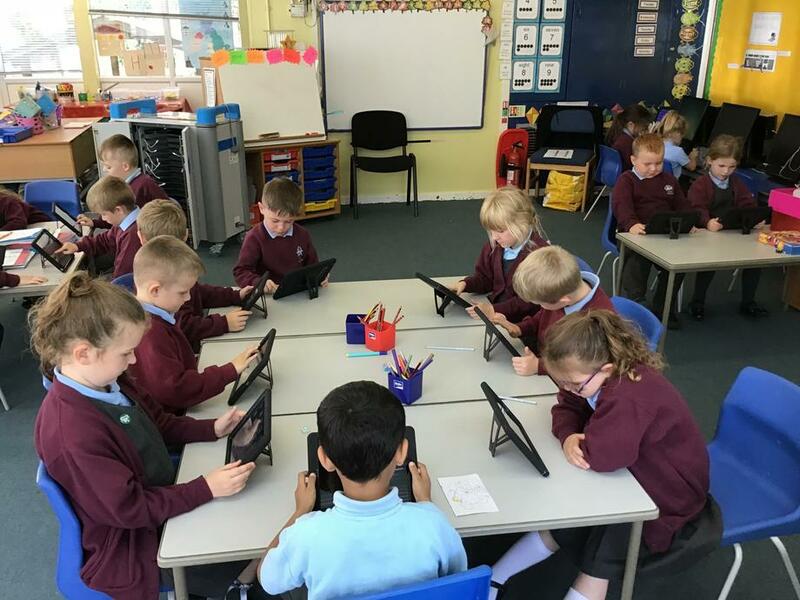 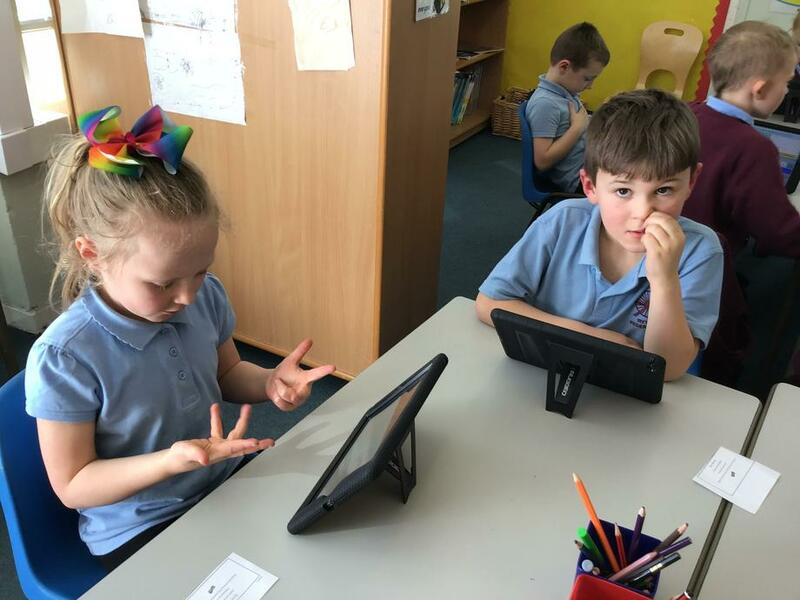 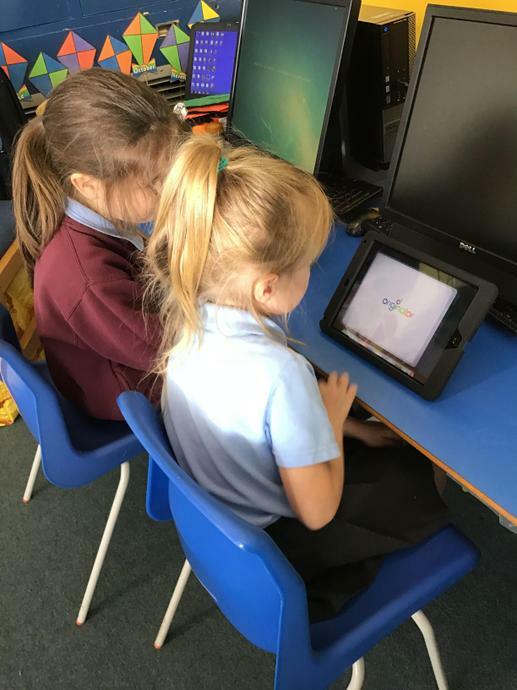 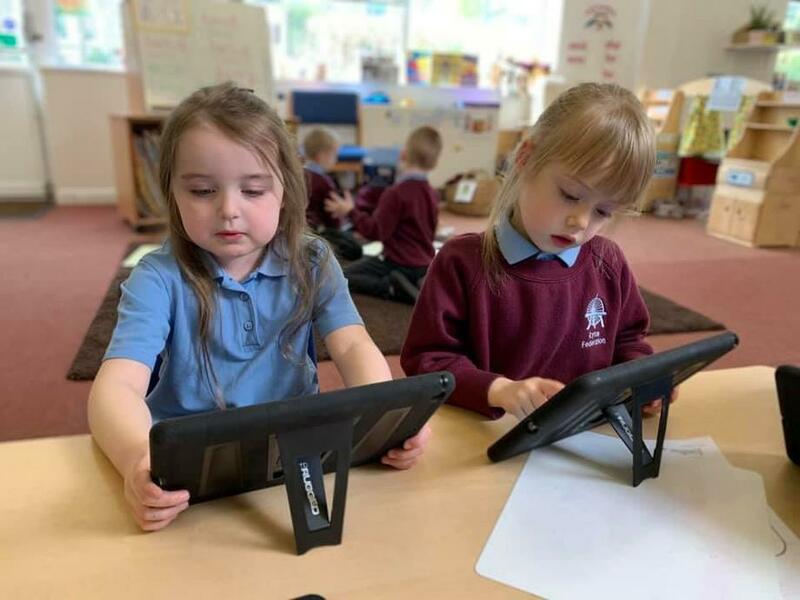 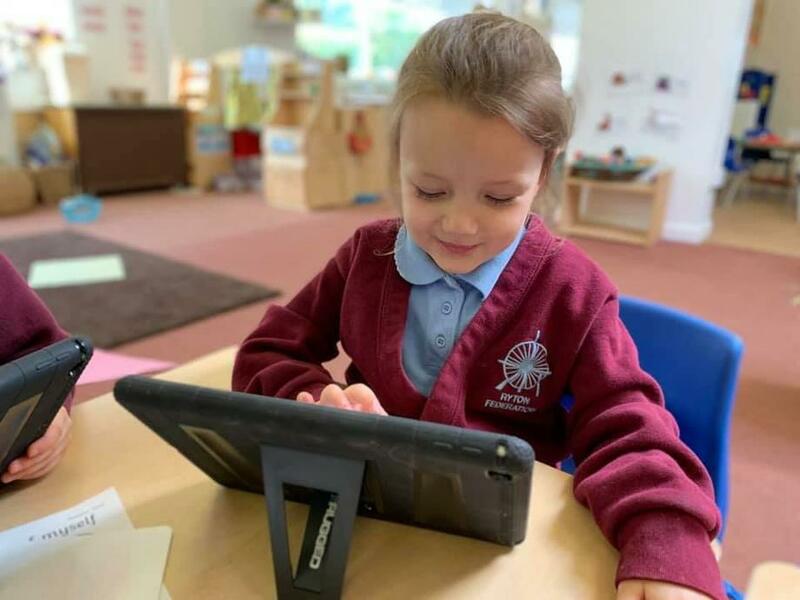 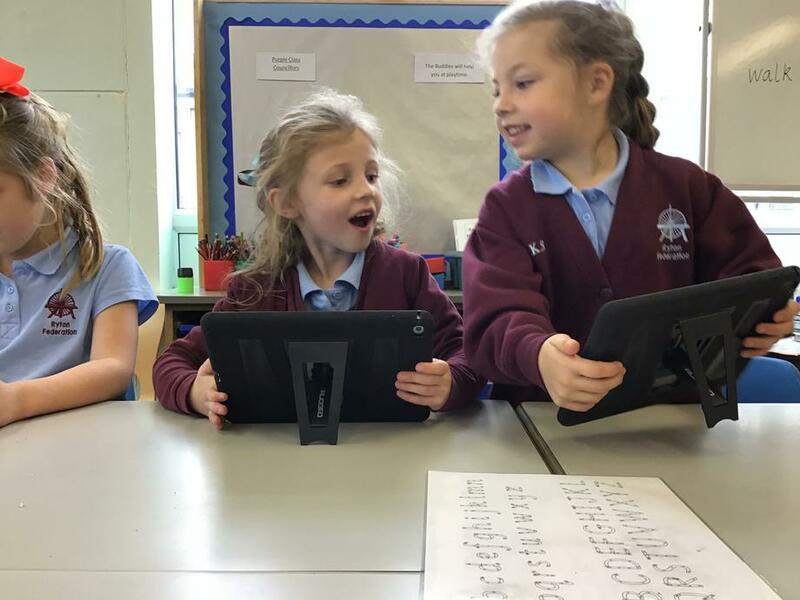 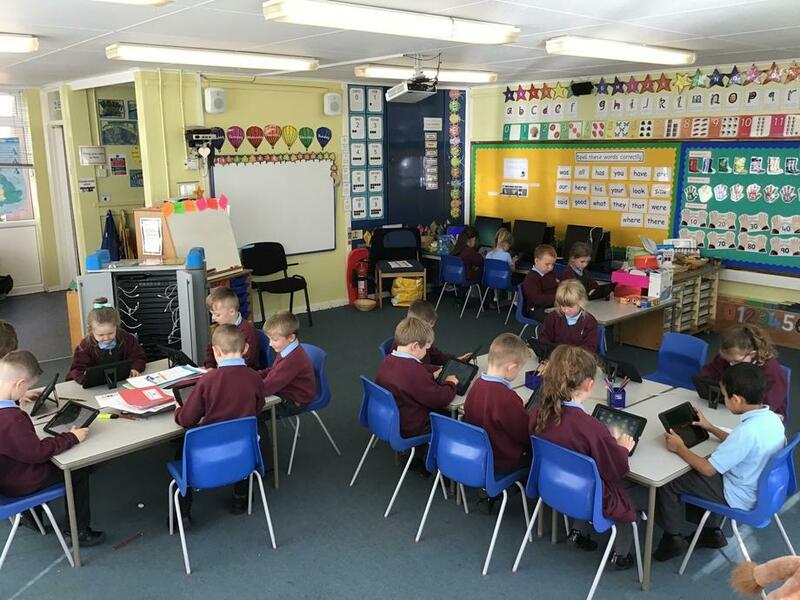 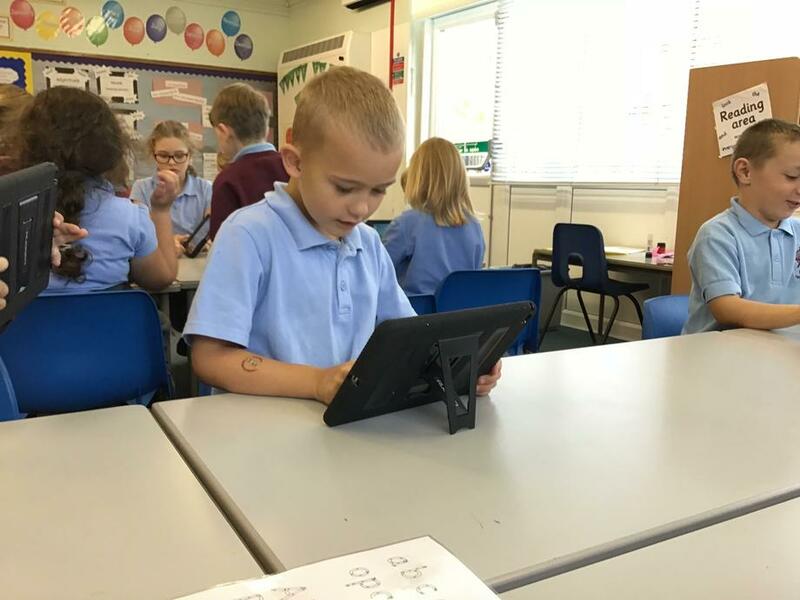 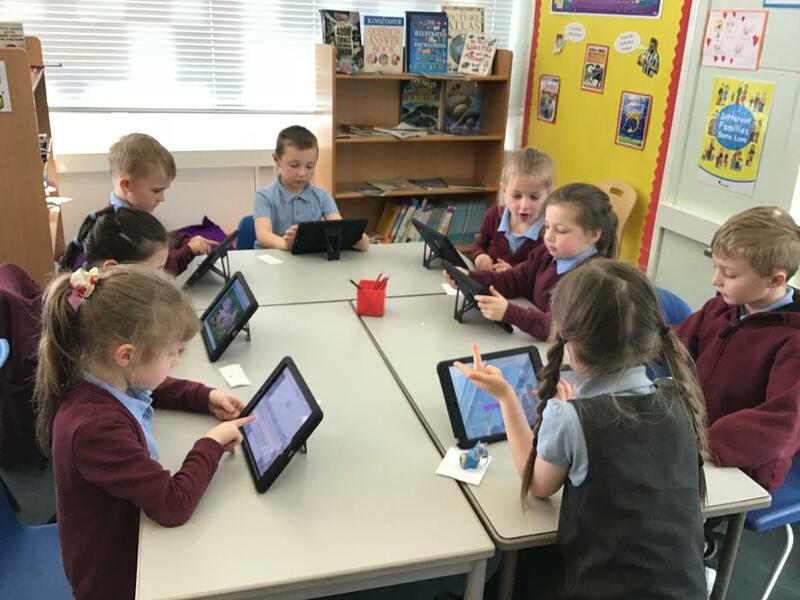 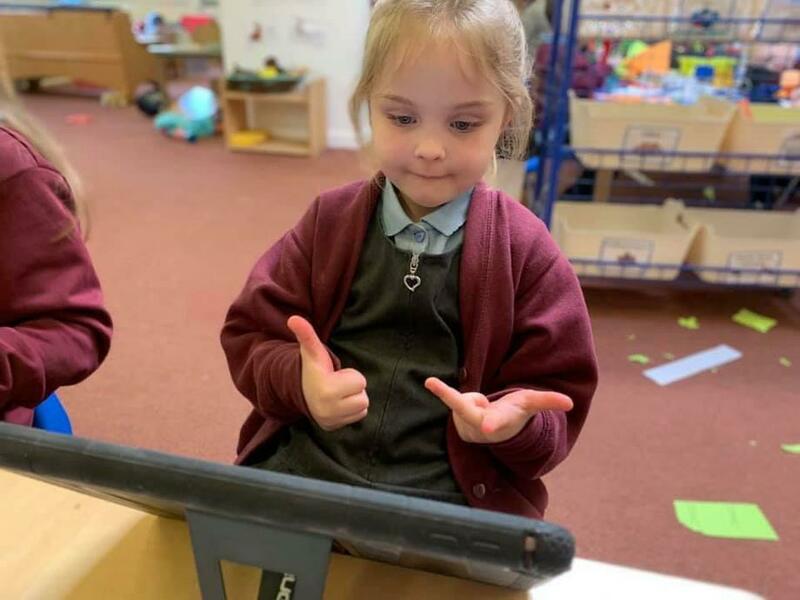 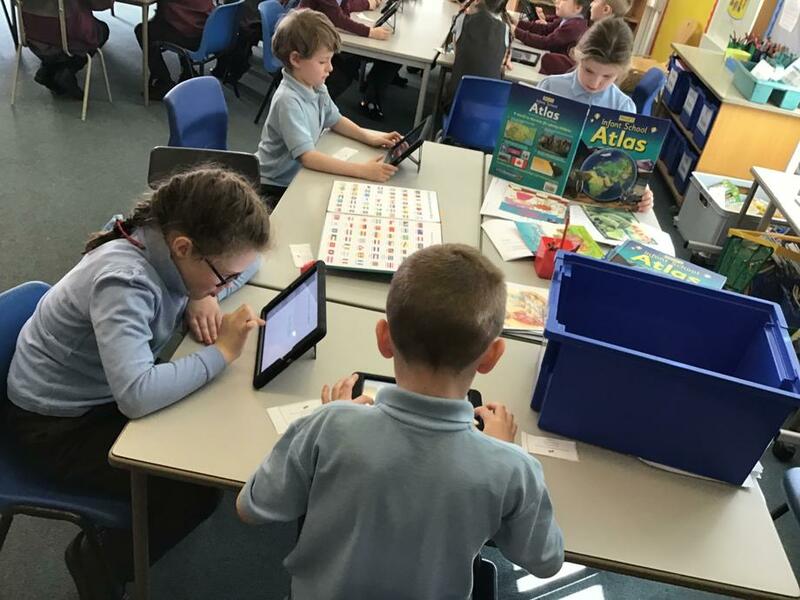 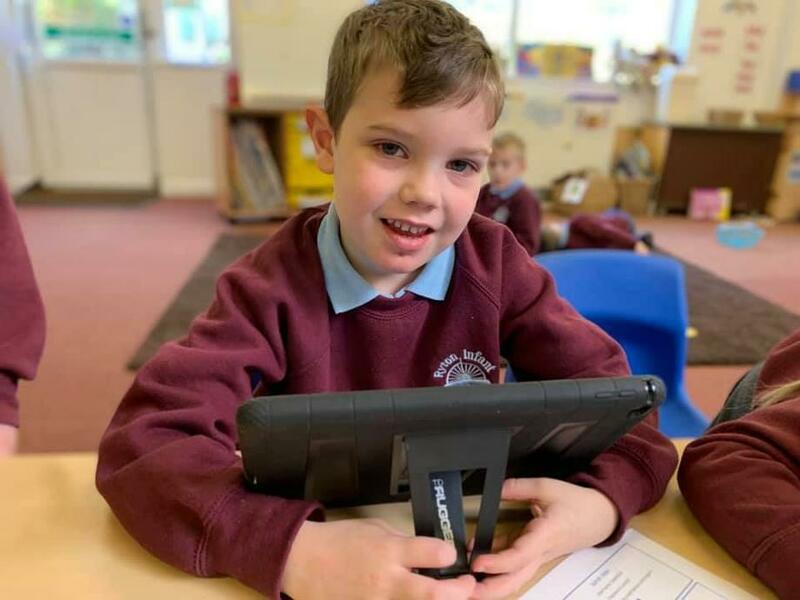 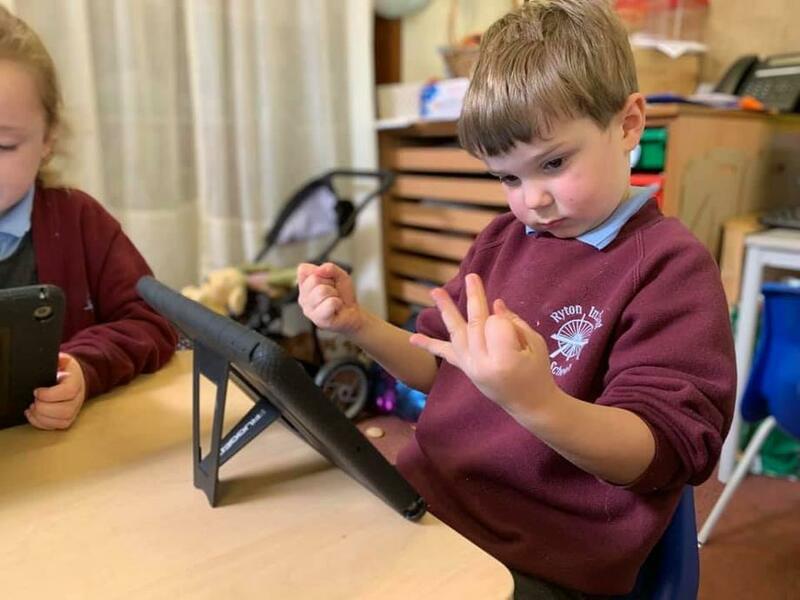 The children and staff in the Infant school would like to thank our parent group who have worked so hard to raise money to buy us a whole class set of iPads. 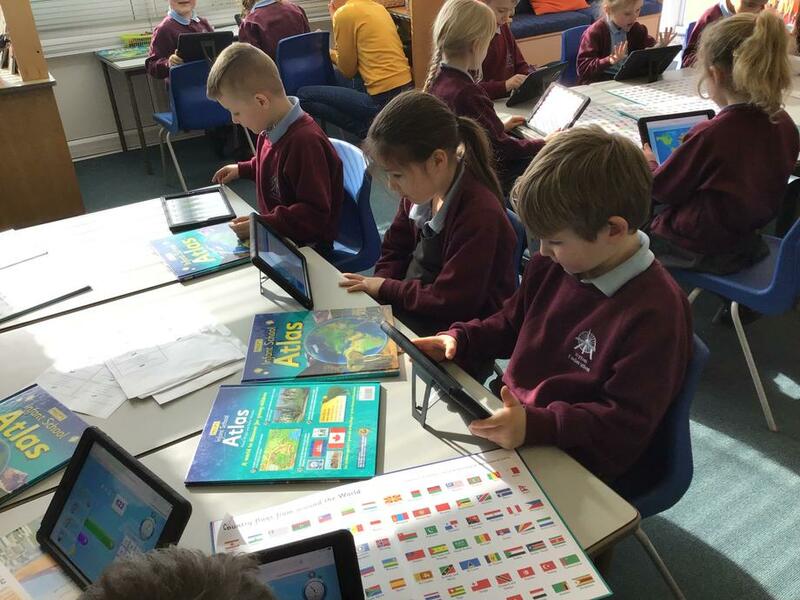 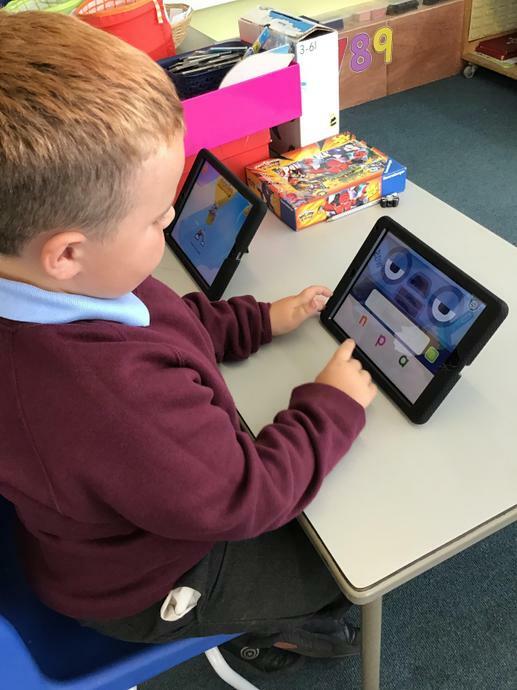 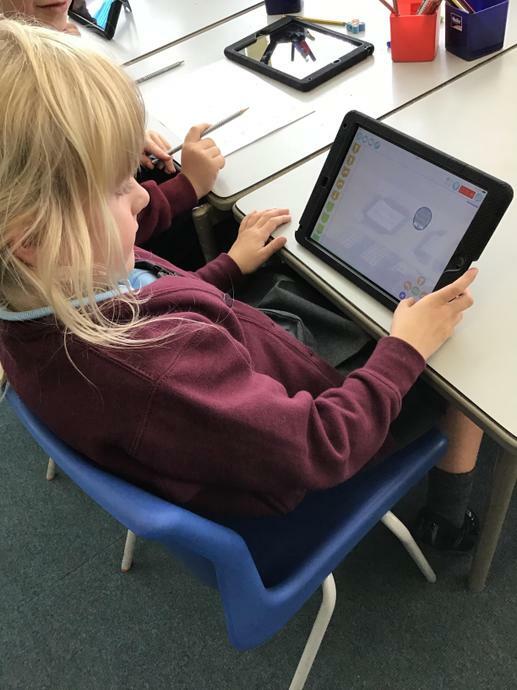 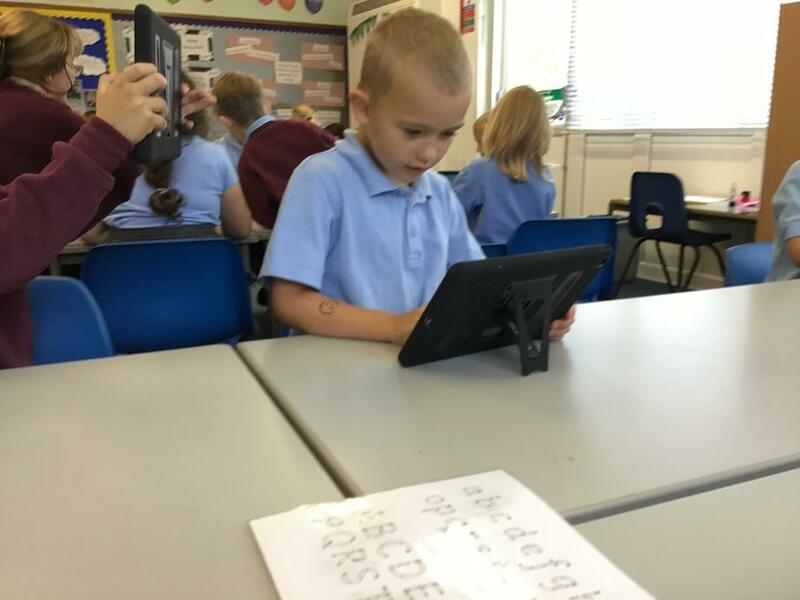 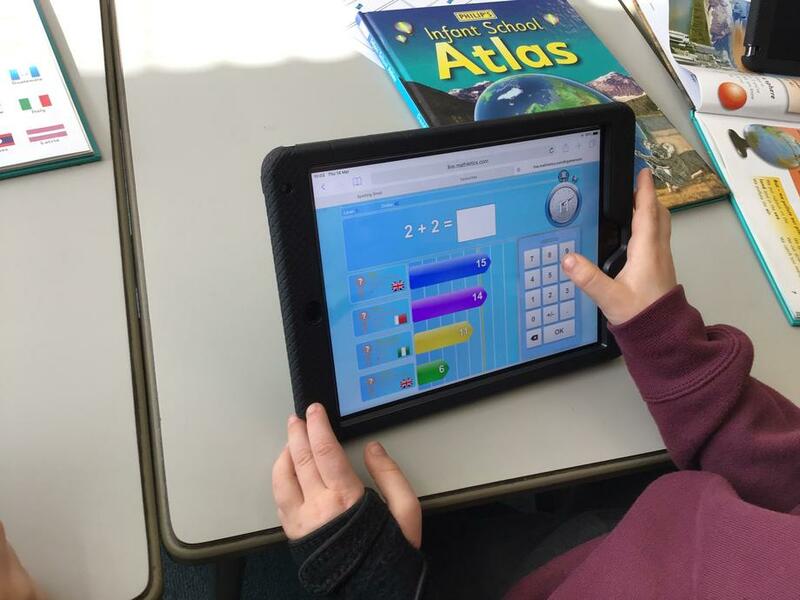 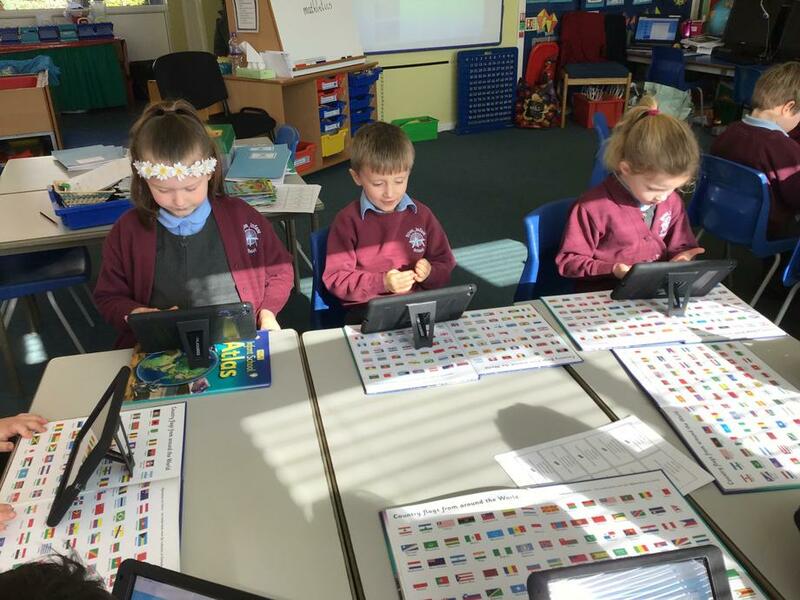 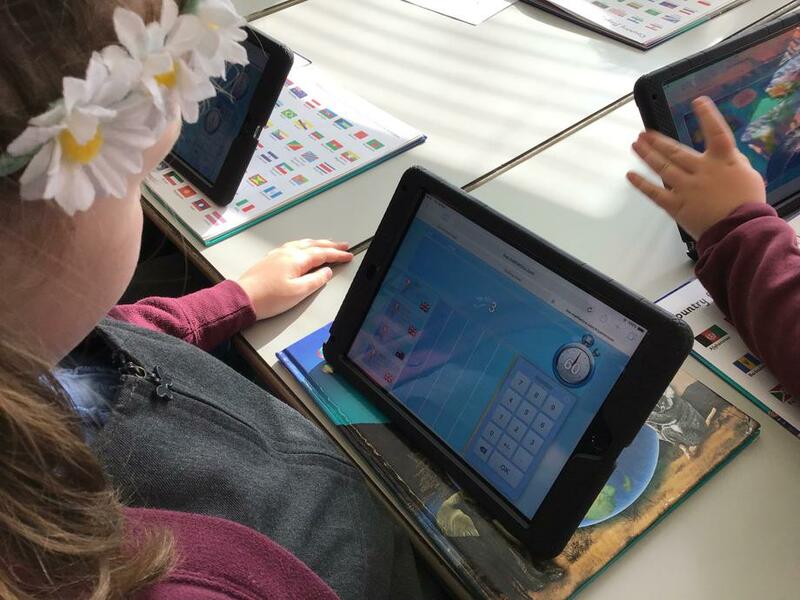 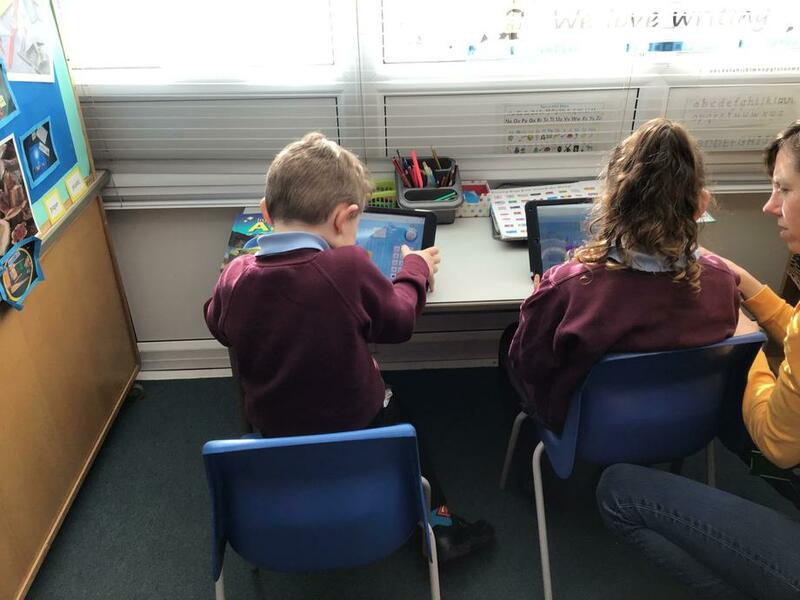 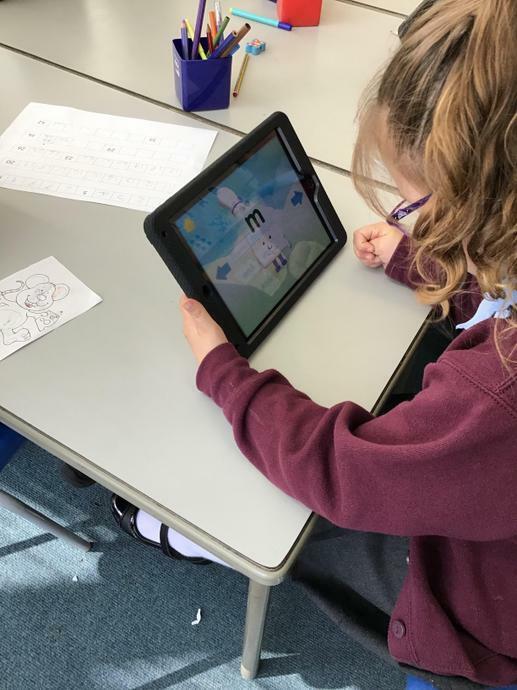 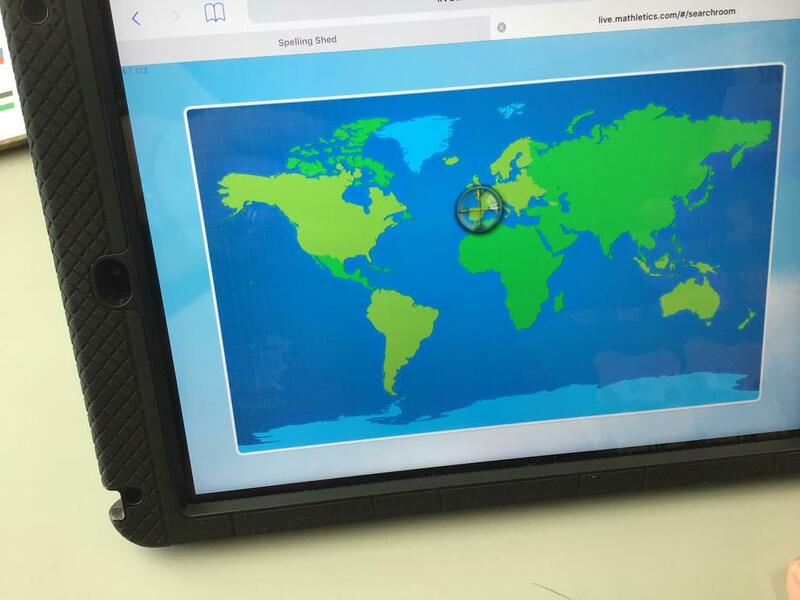 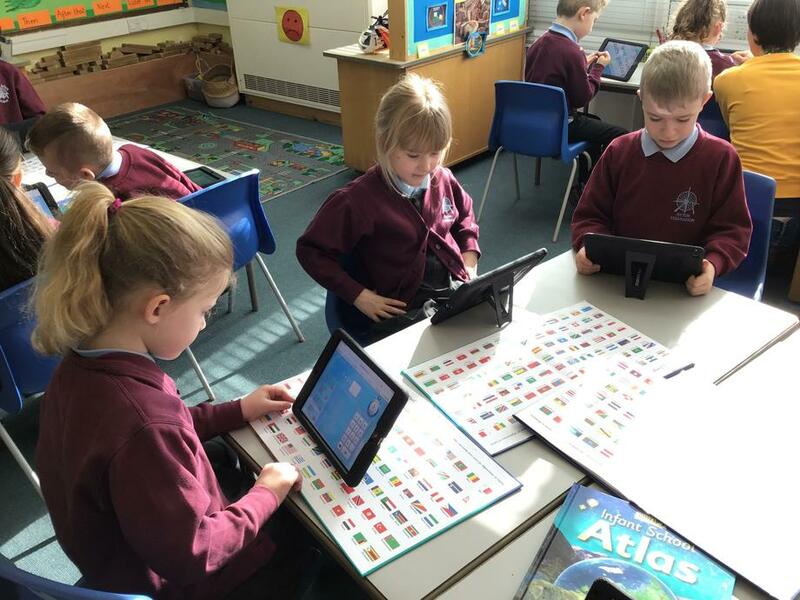 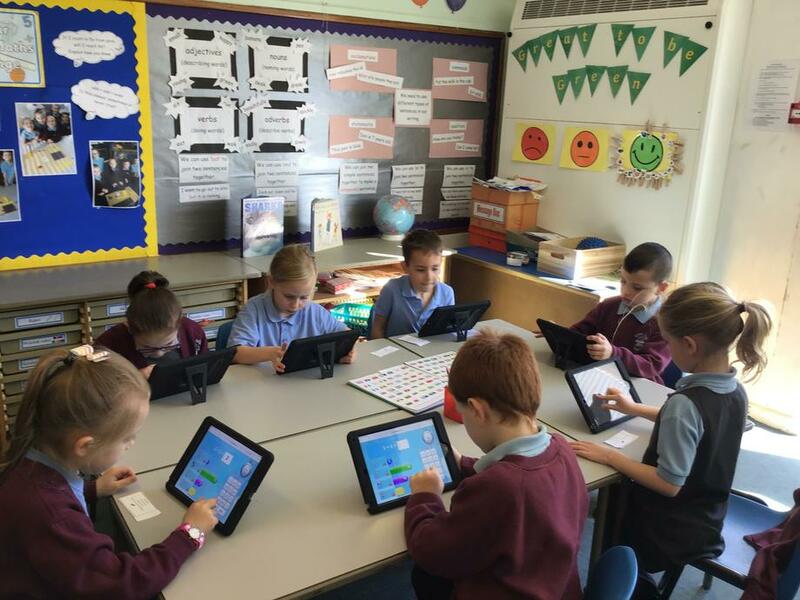 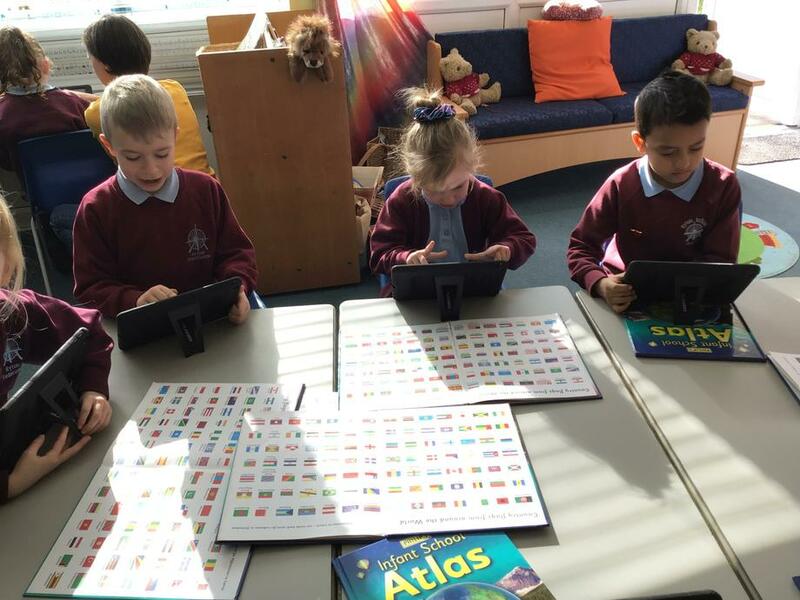 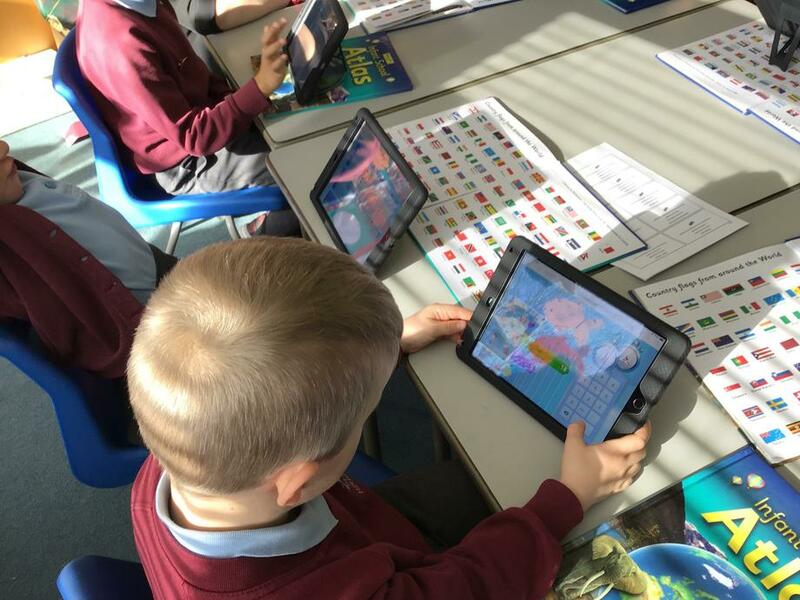 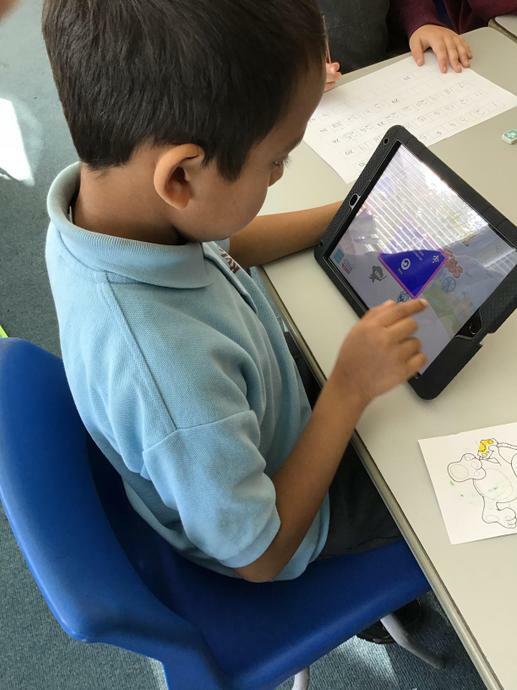 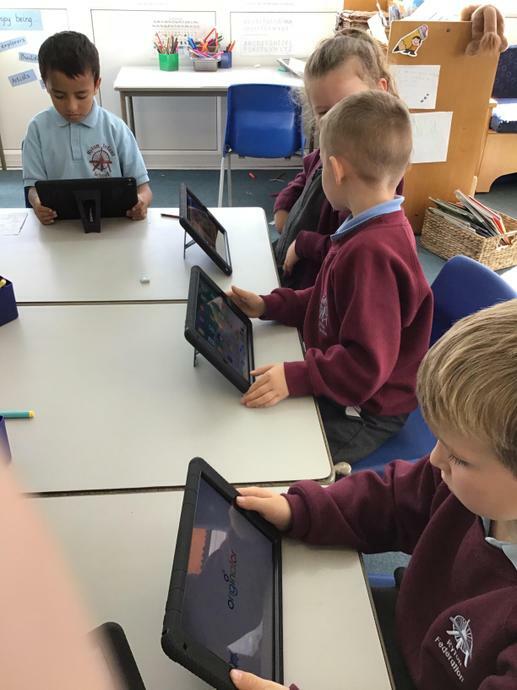 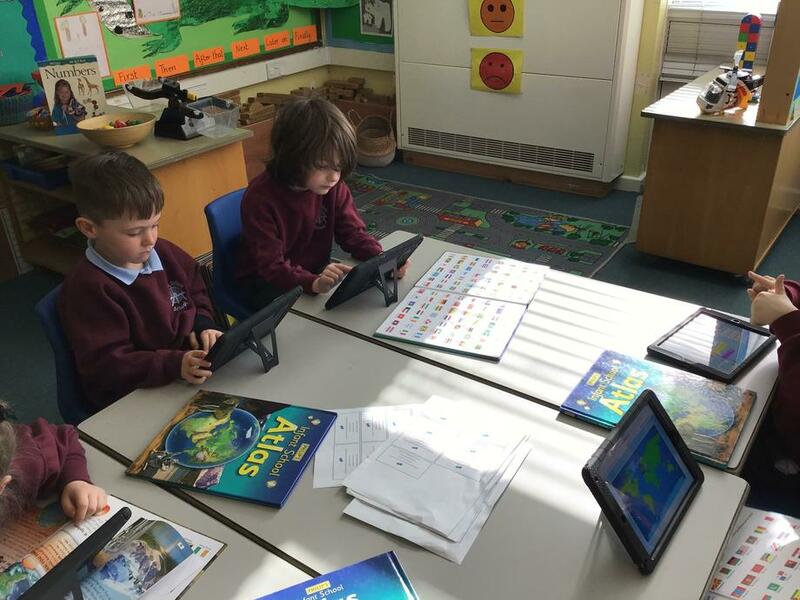 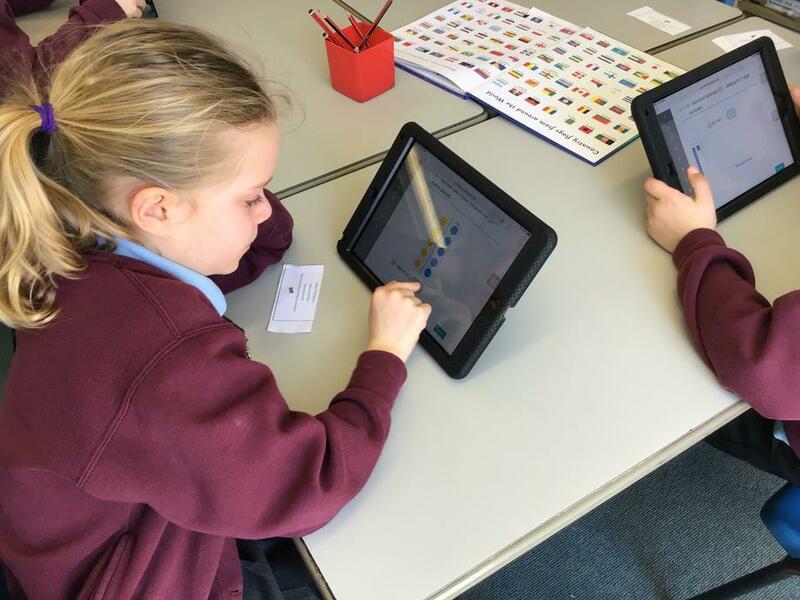 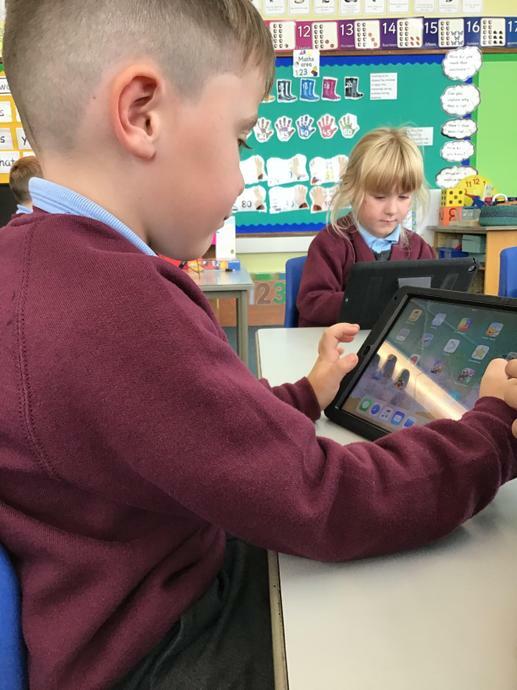 The children have been able to use them in a variety of ways including apps to enhance their curriculum. 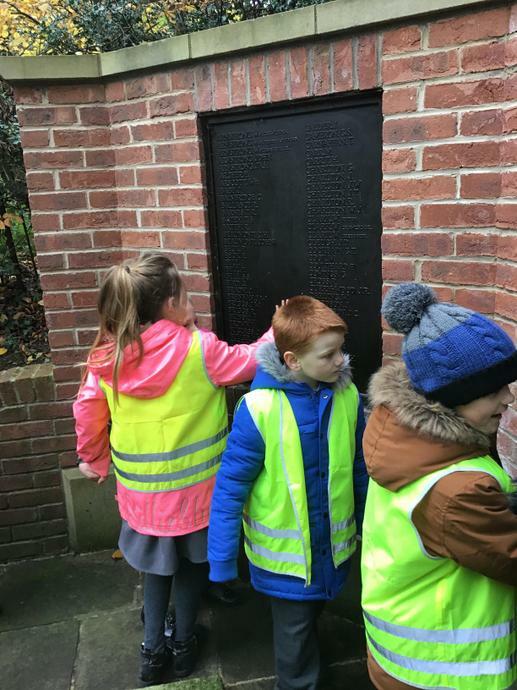 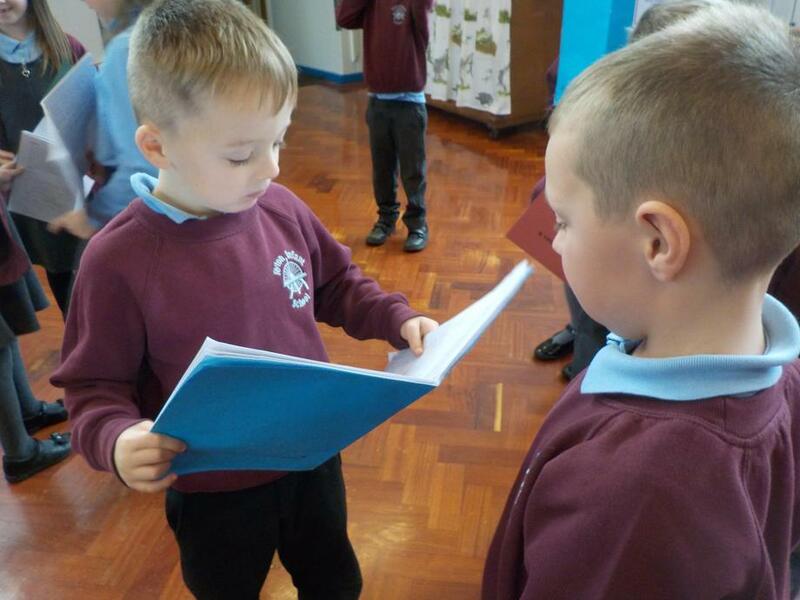 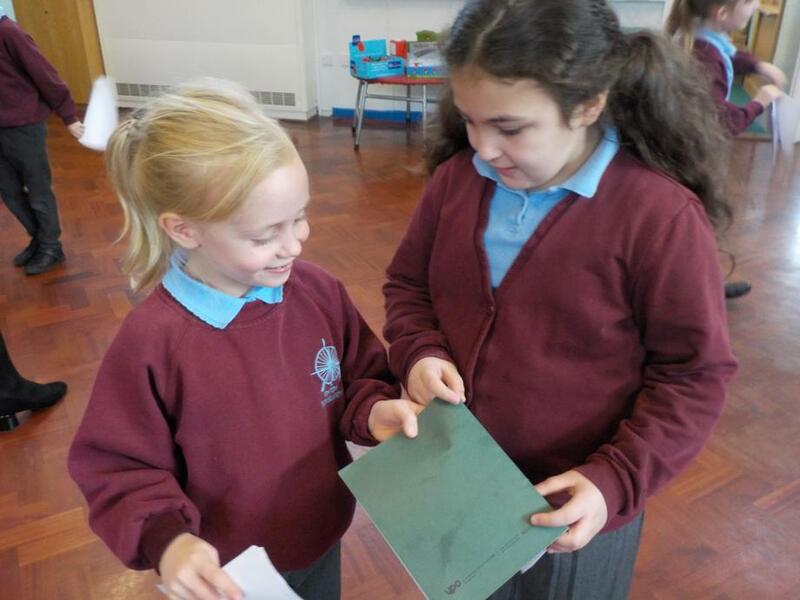 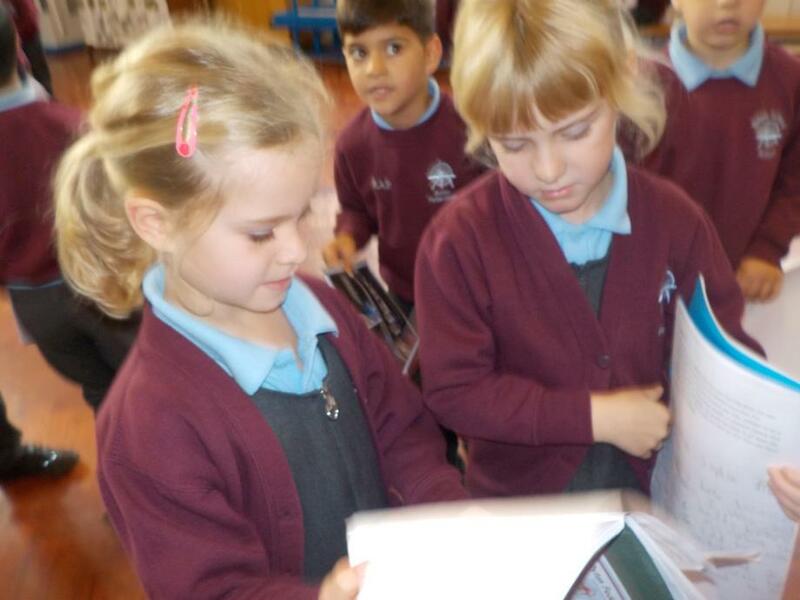 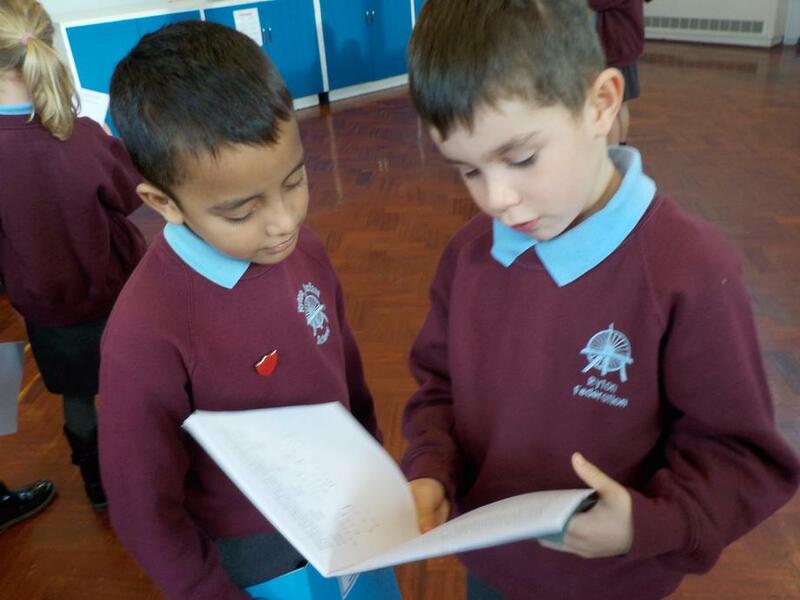 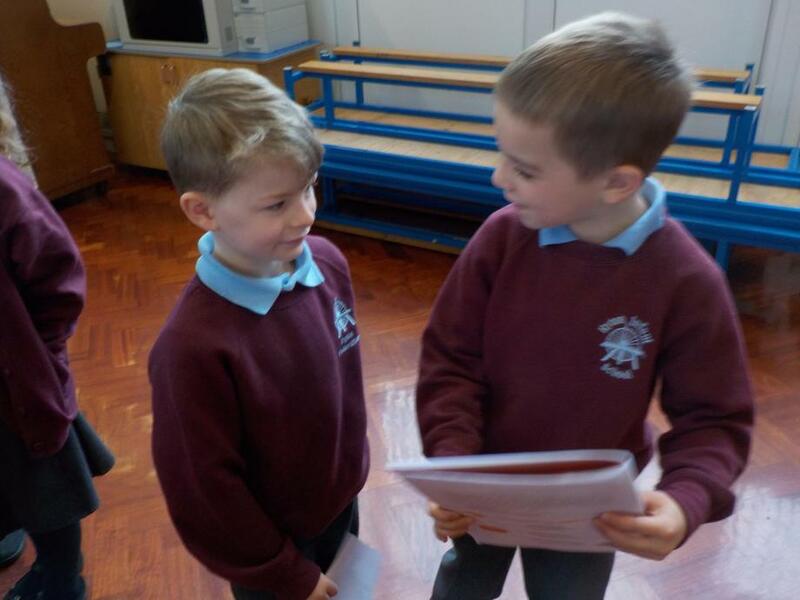 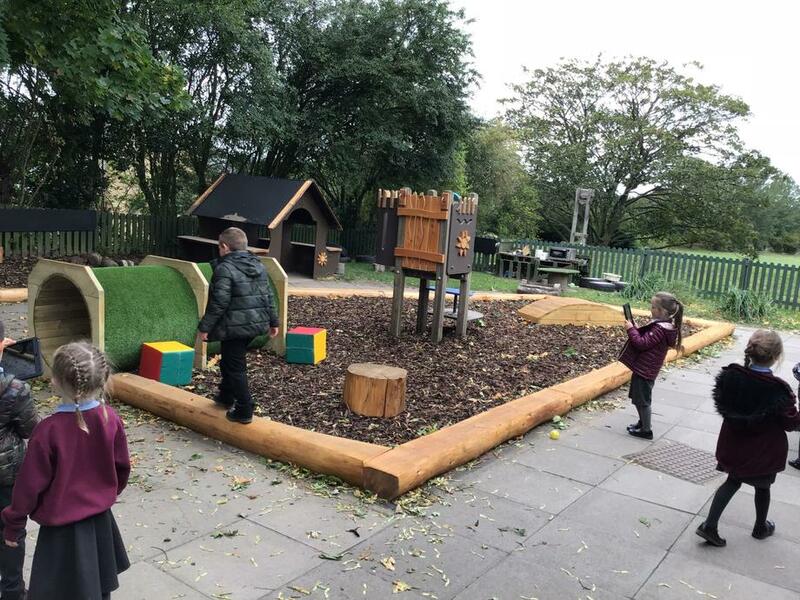 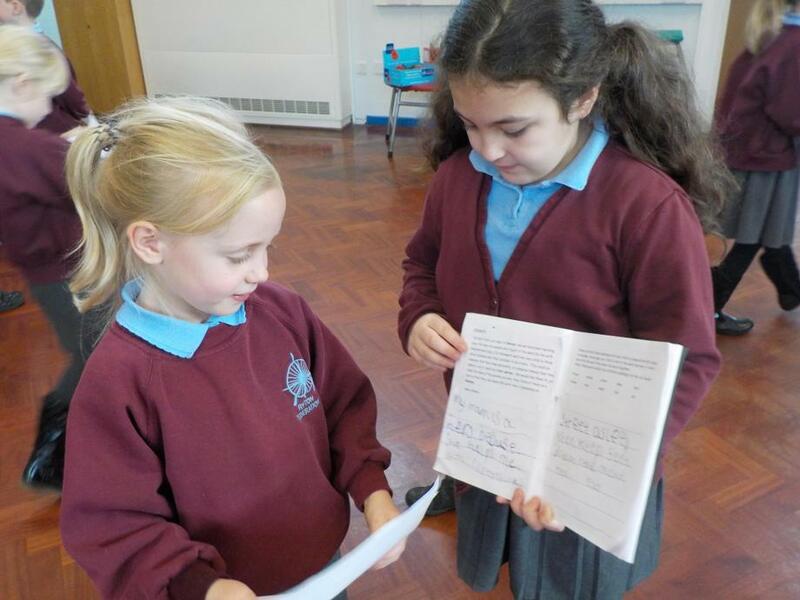 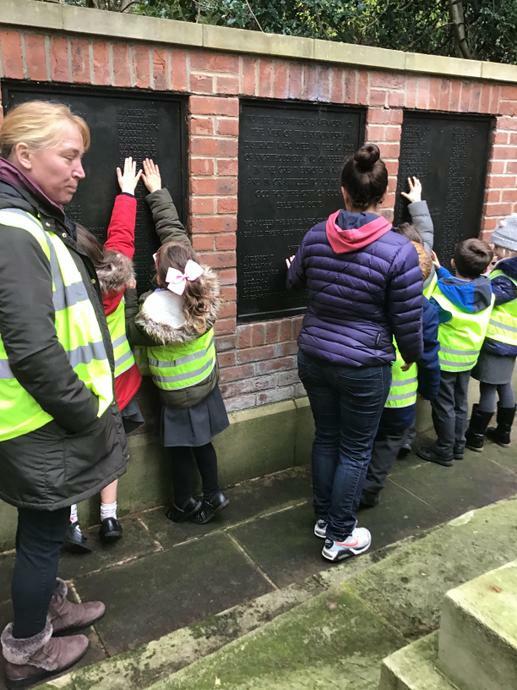 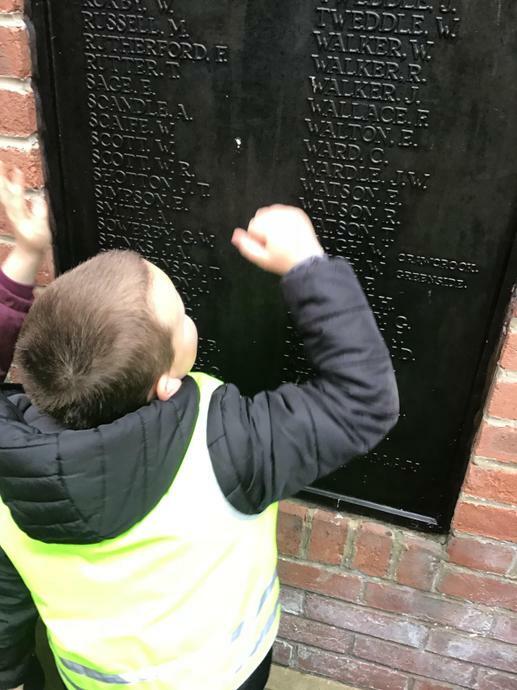 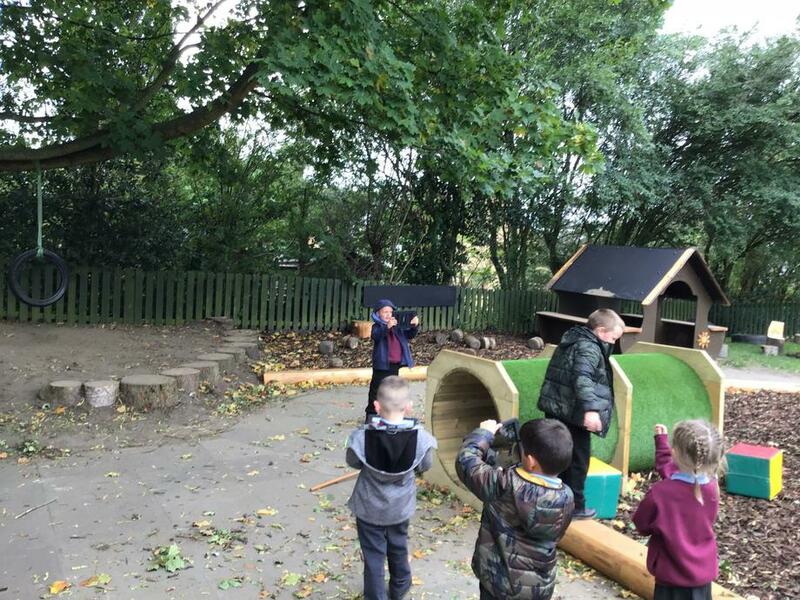 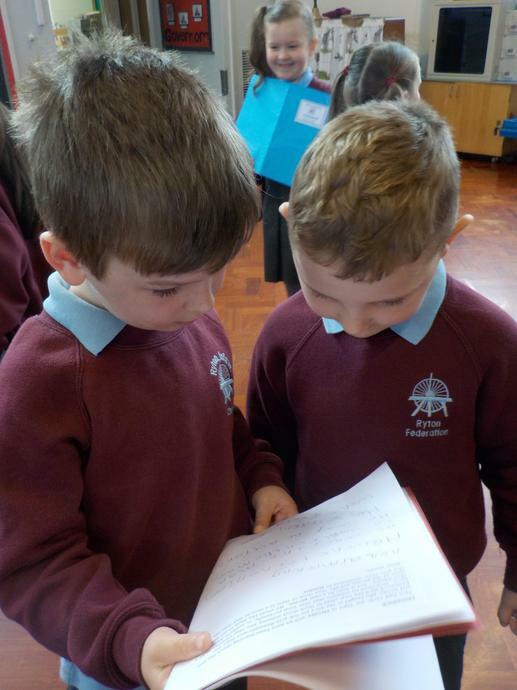 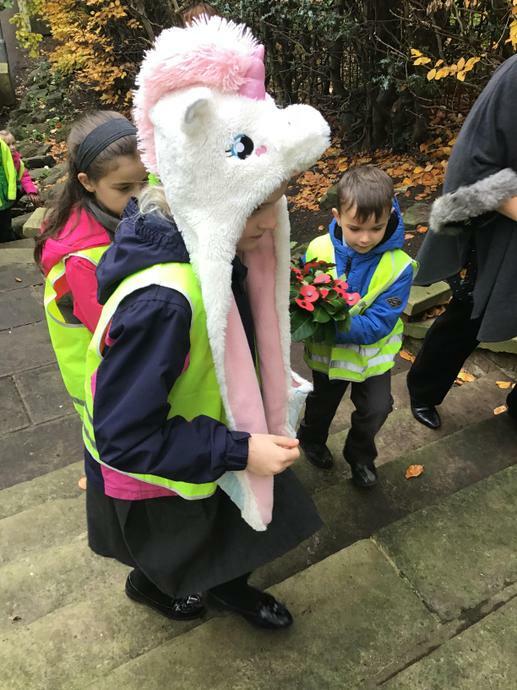 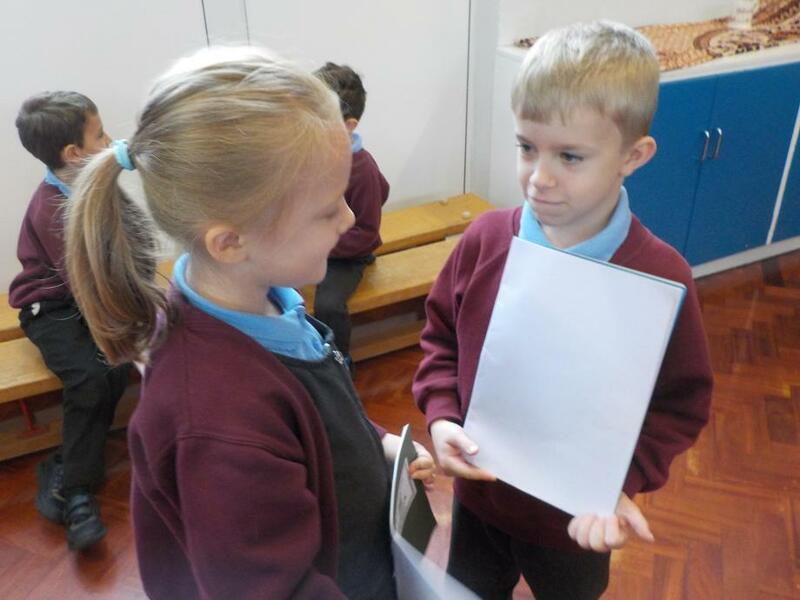 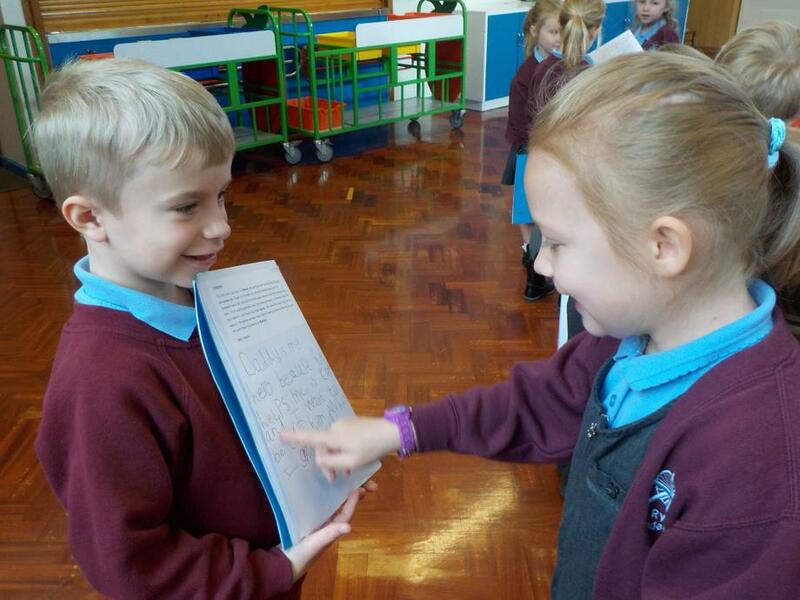 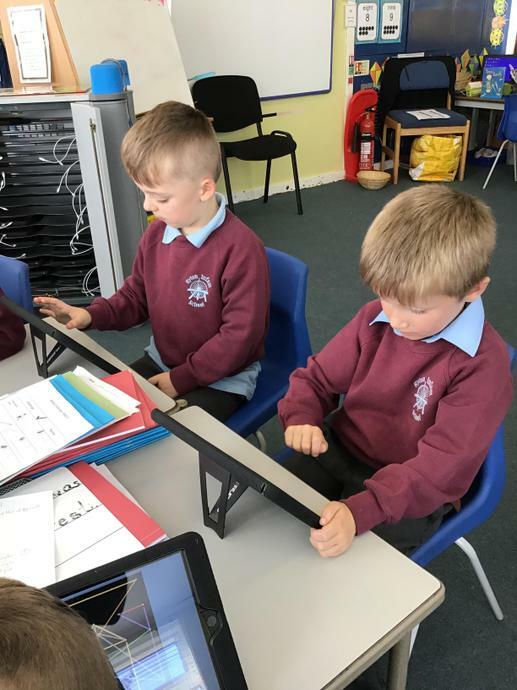 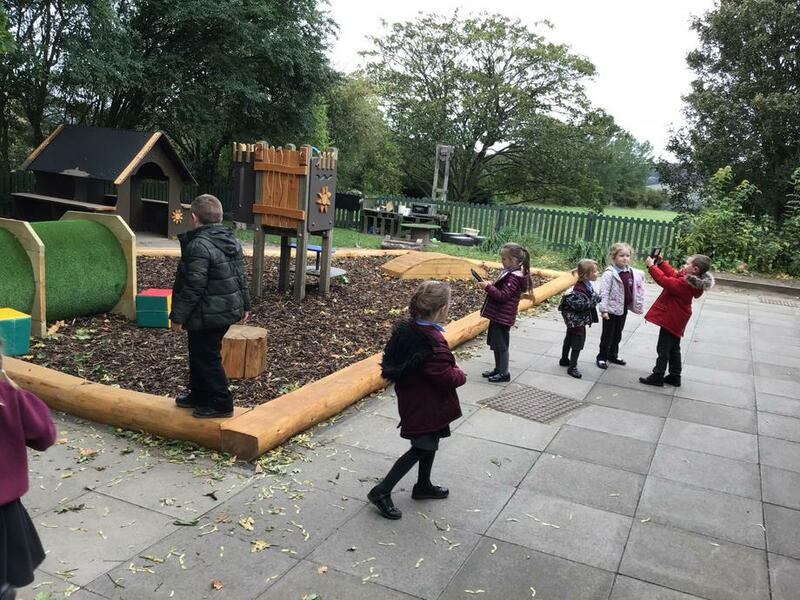 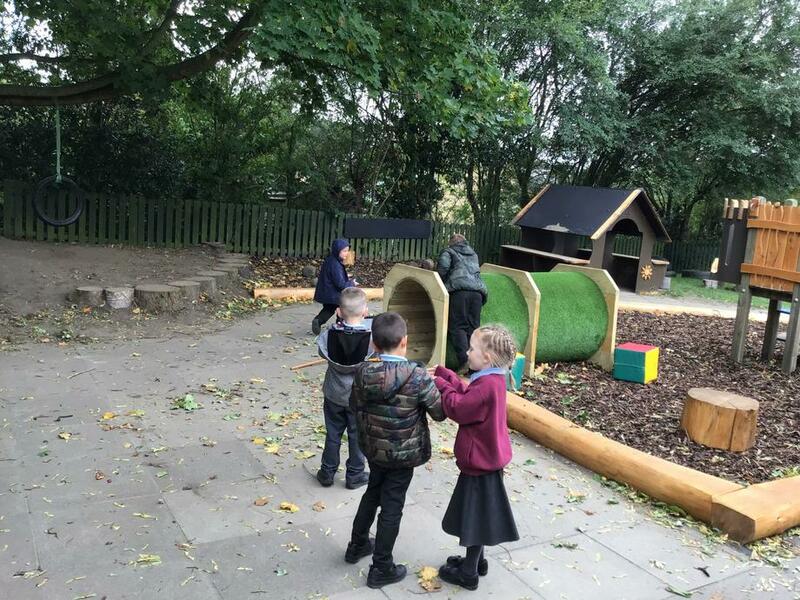 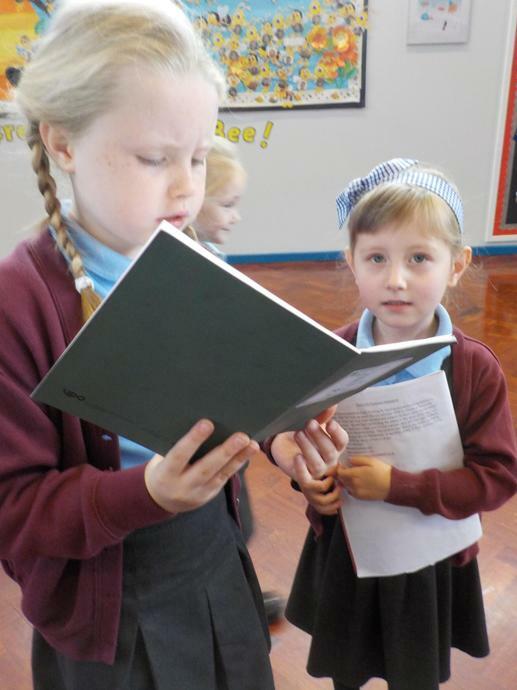 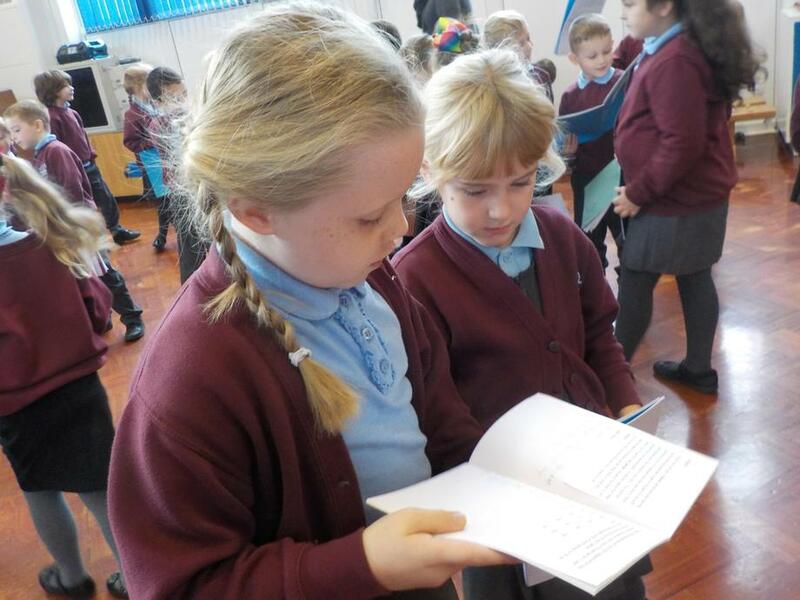 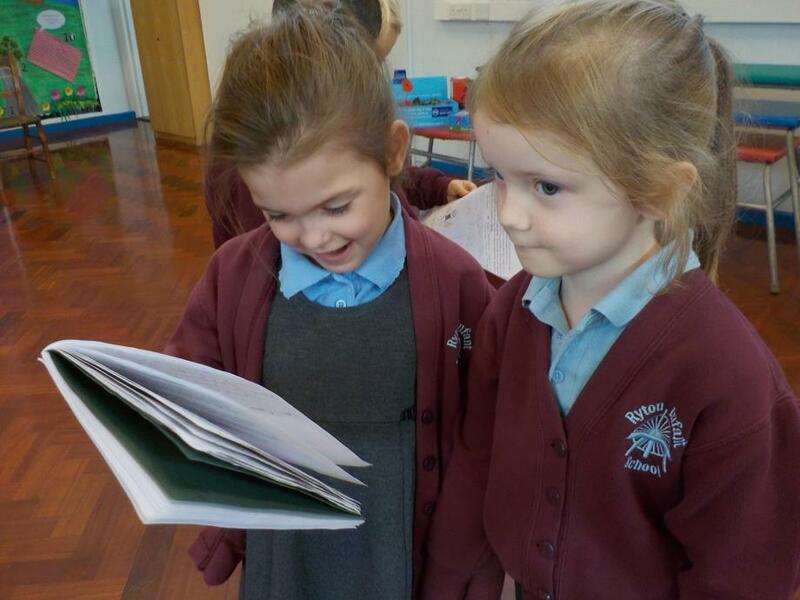 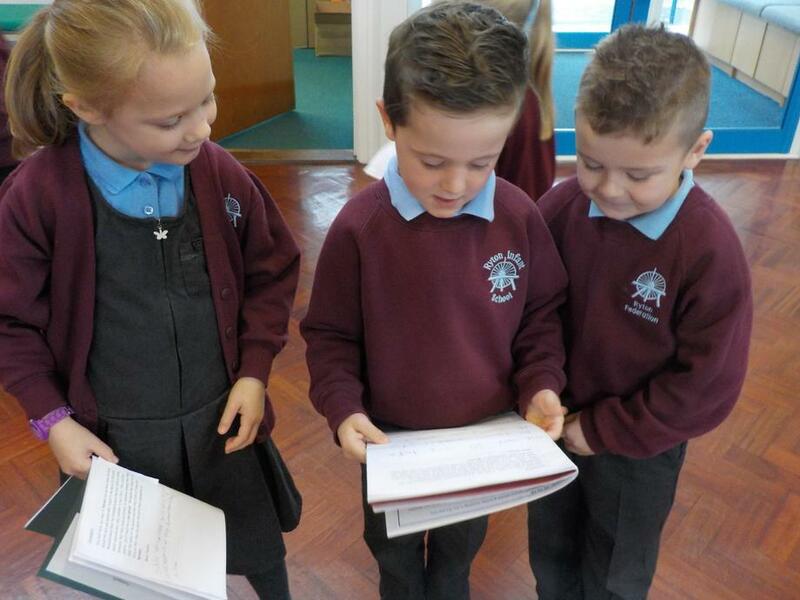 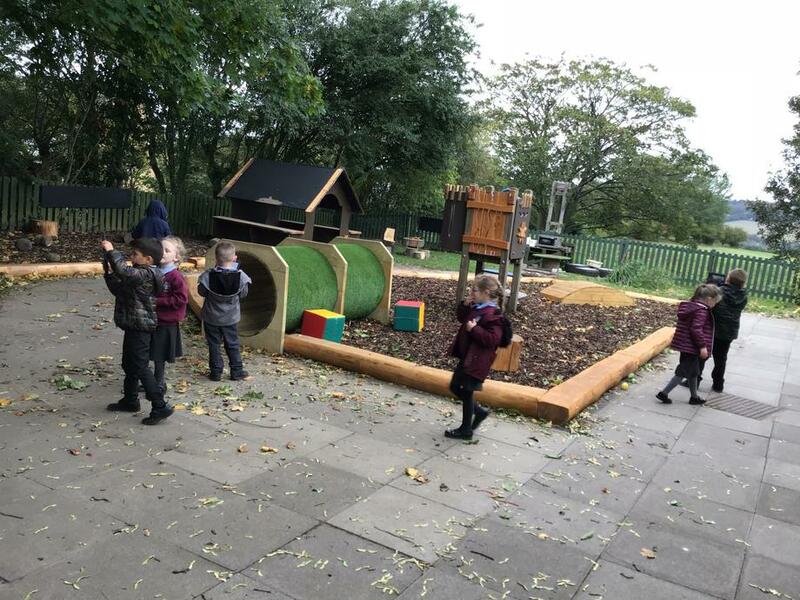 Yellow class were able to record their findings on a walk to observe change which they used to back in their classroom as a basis for a discussion. 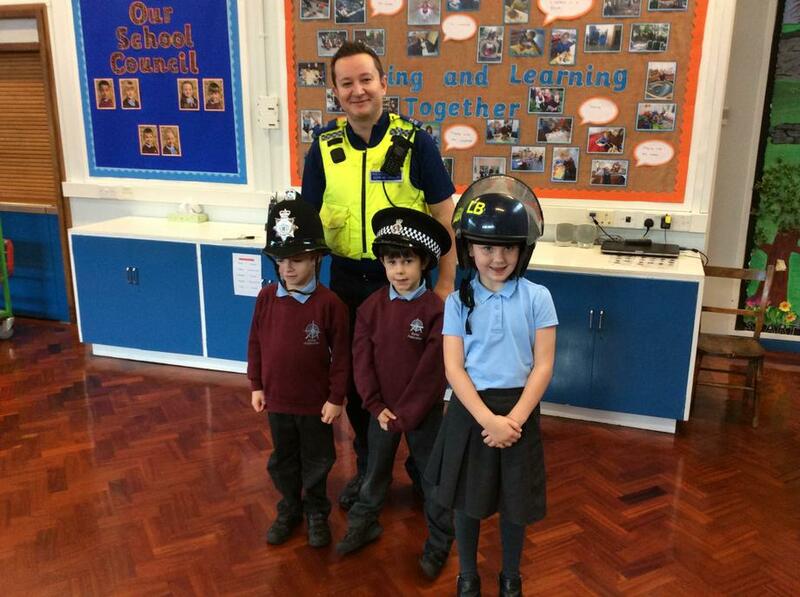 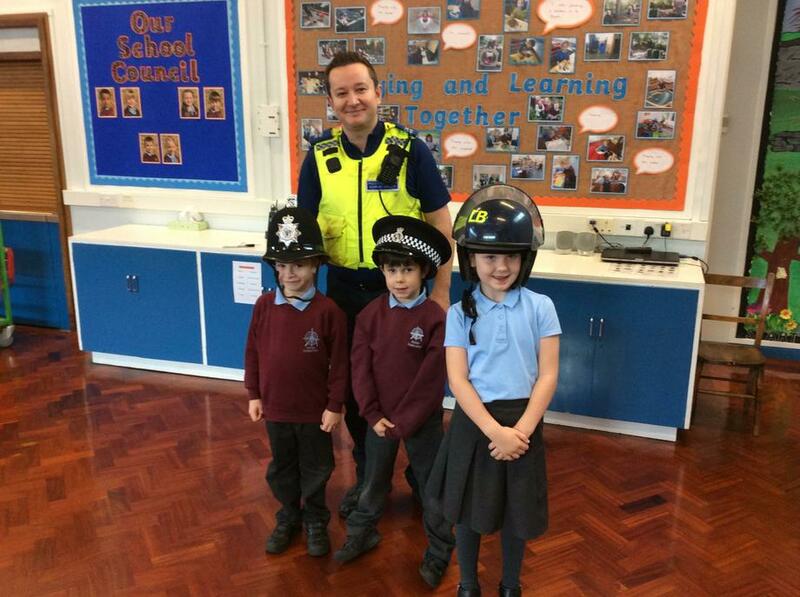 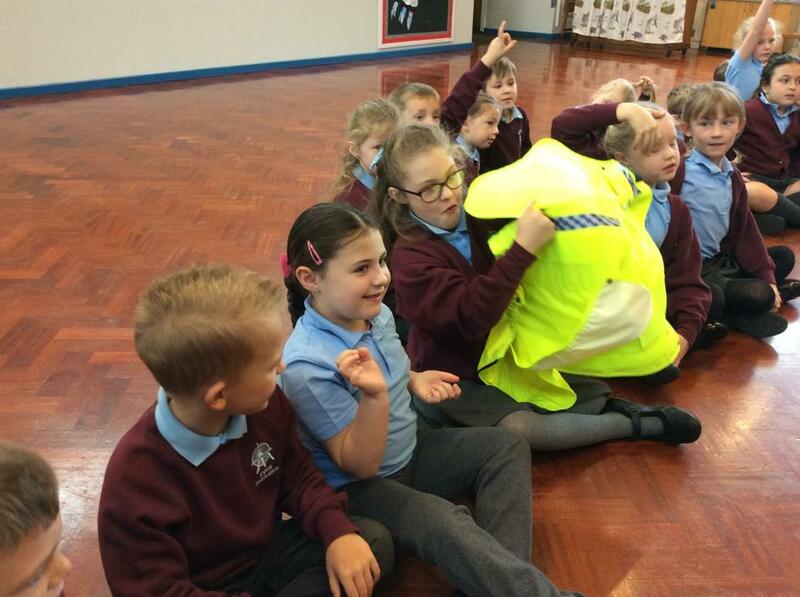 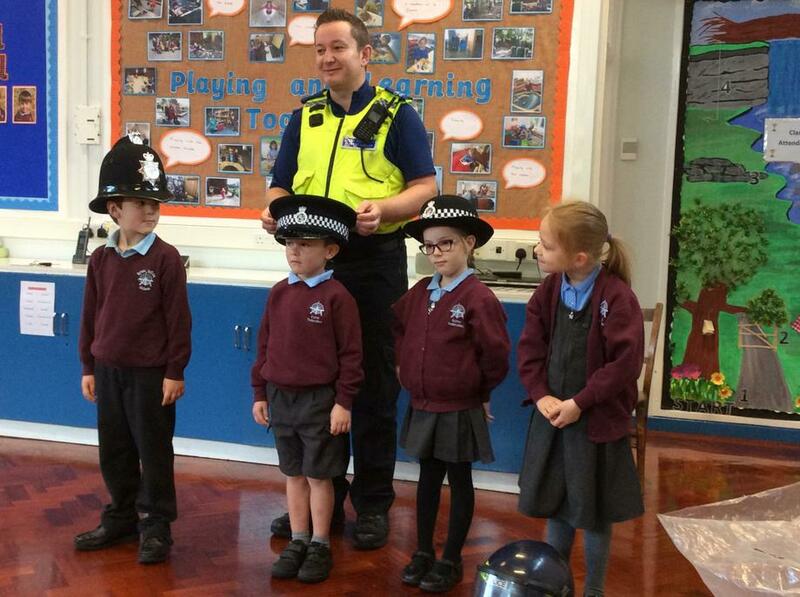 Thank you to Martin from the West Area Police Team who came into speak to KS1 this morning. 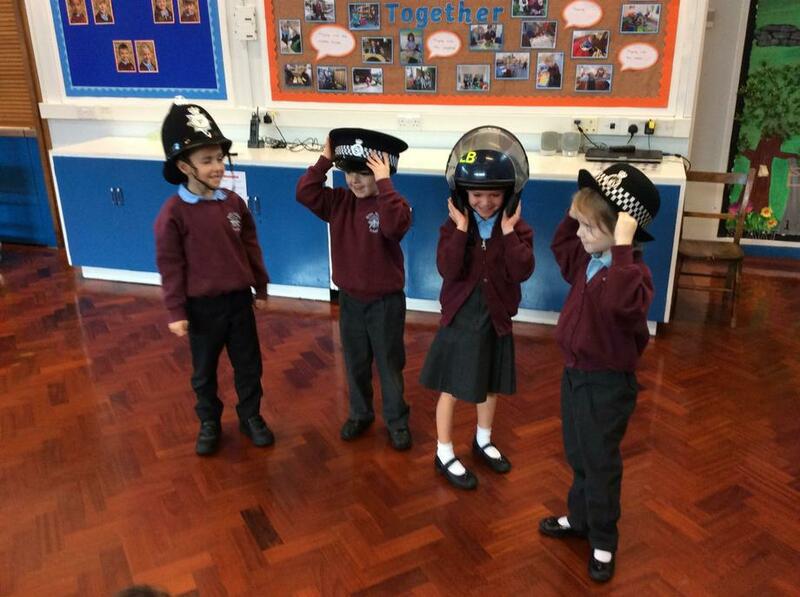 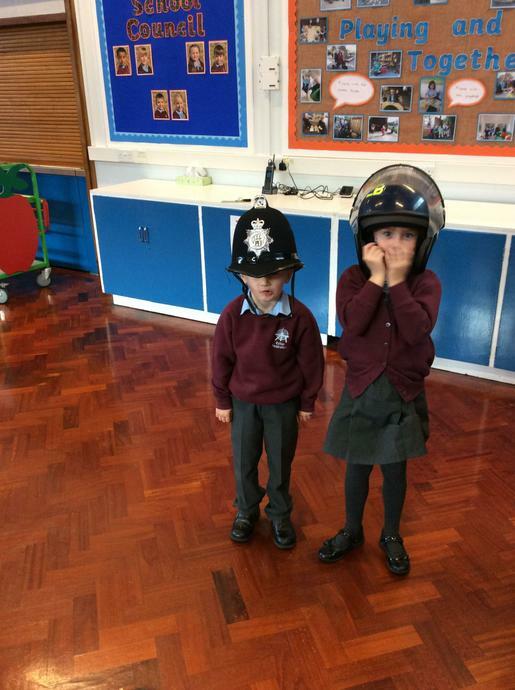 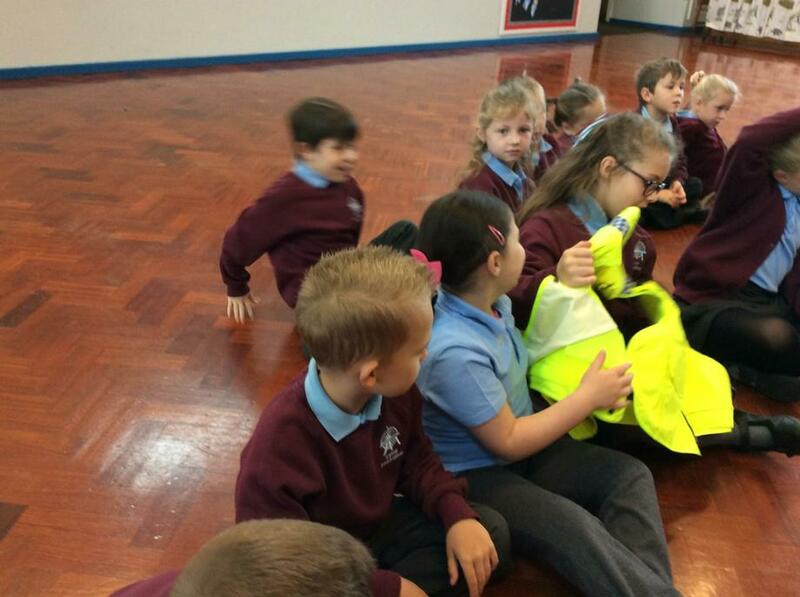 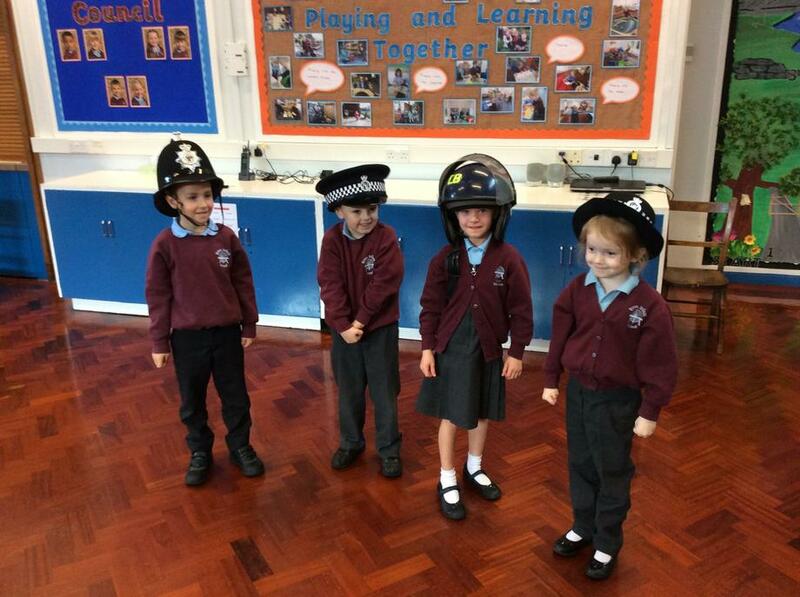 We had lots of fun dressing up and learning how to stay safe. 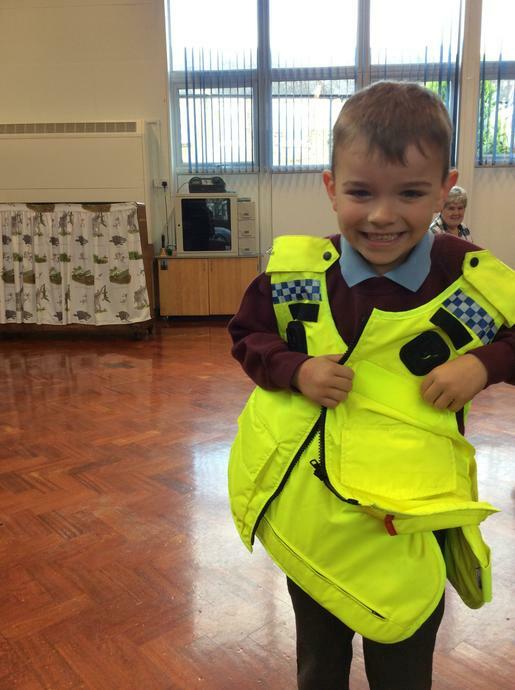 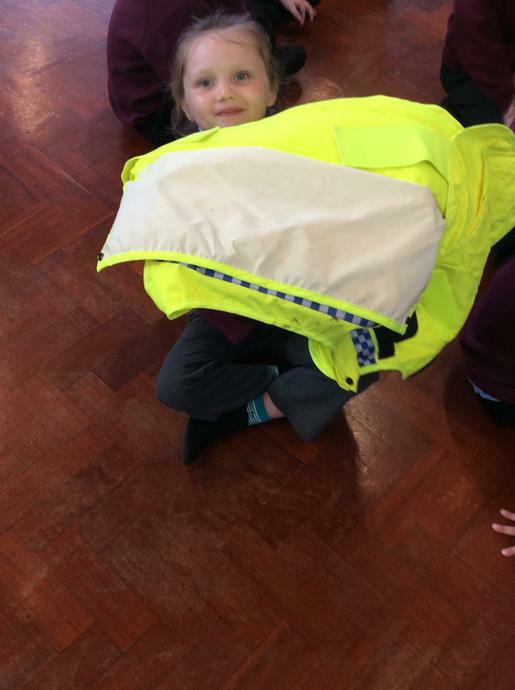 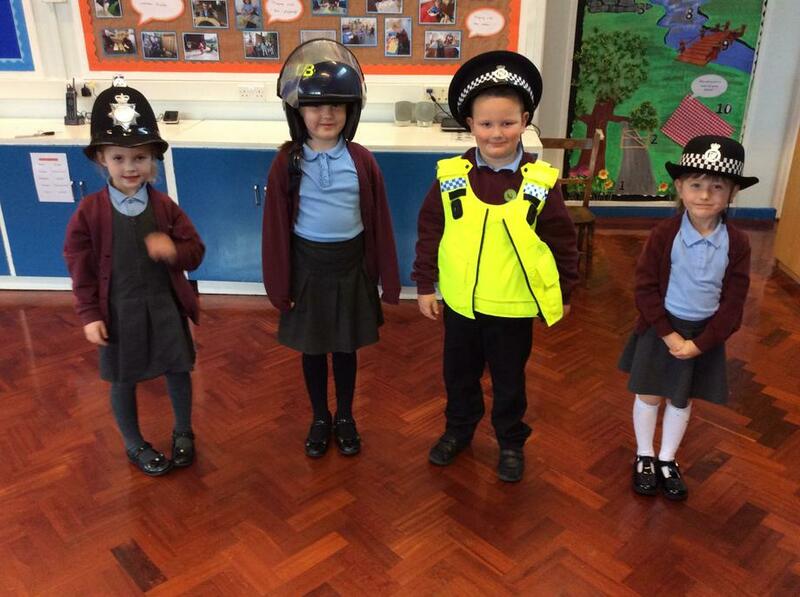 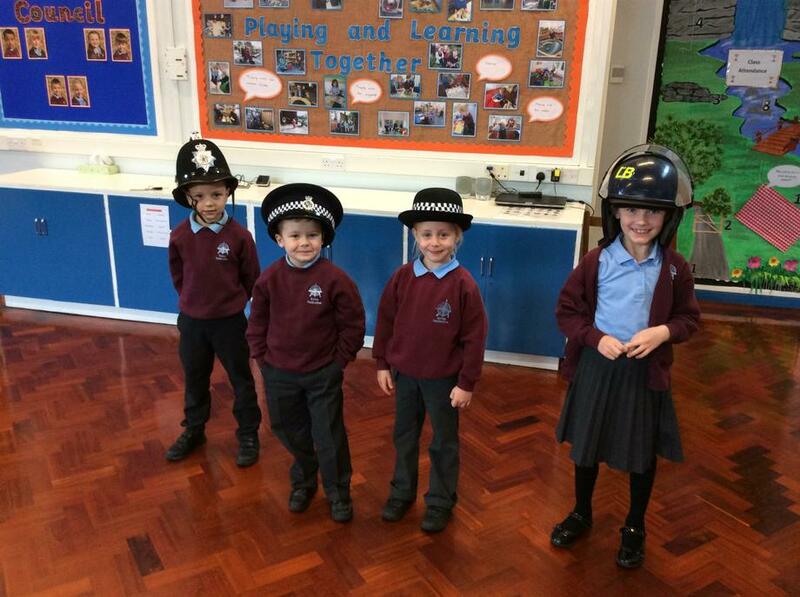 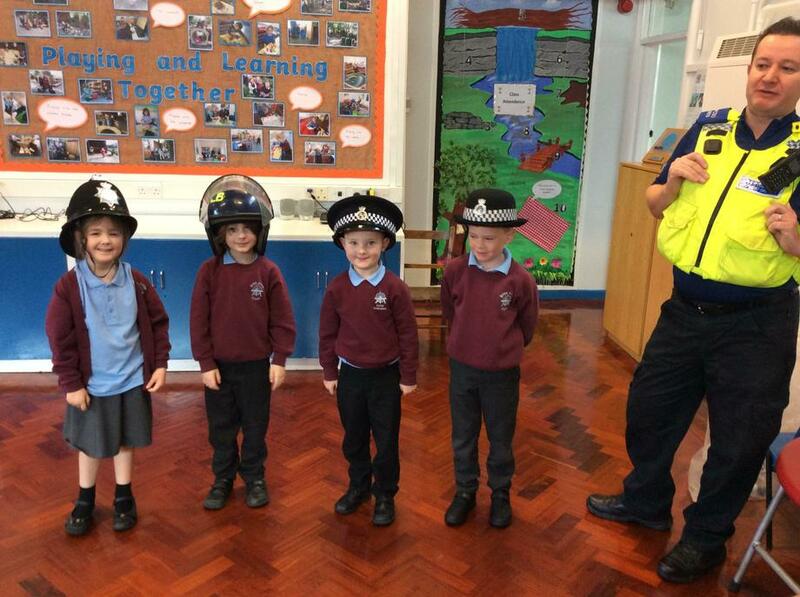 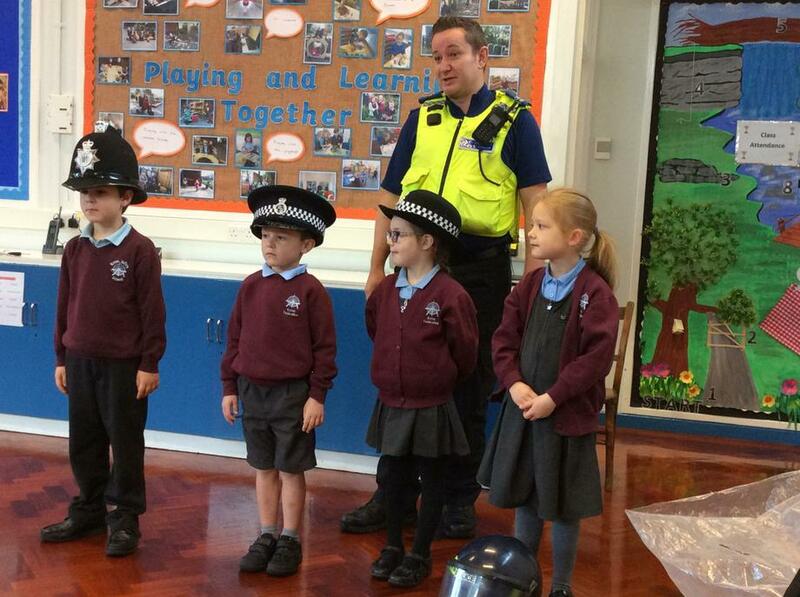 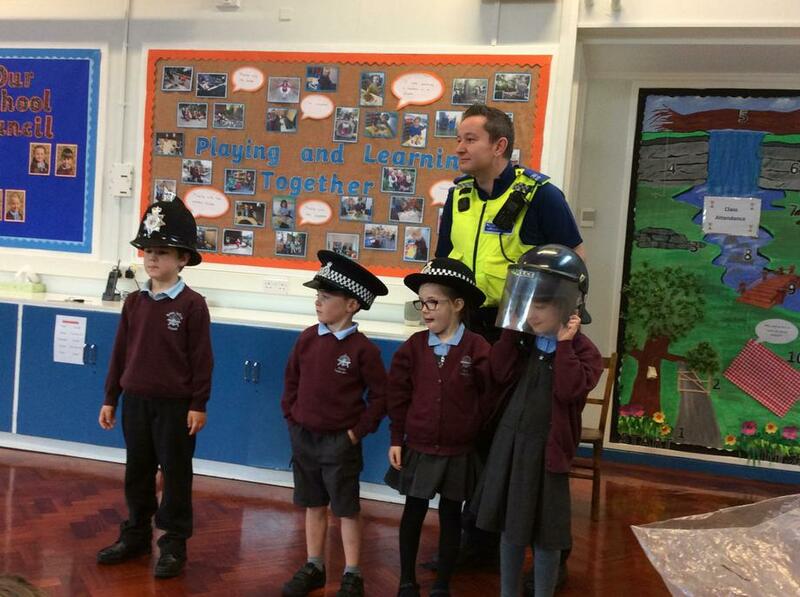 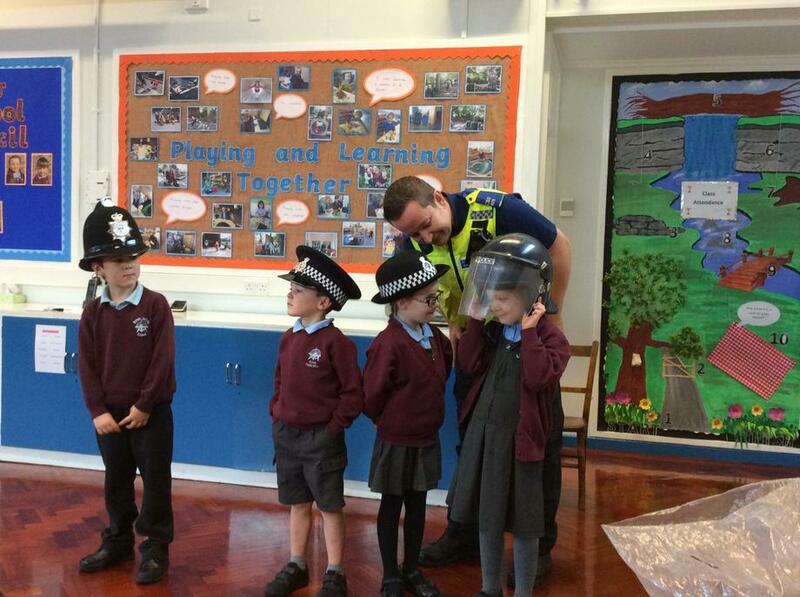 We think we now have the next generation of Police Officers. 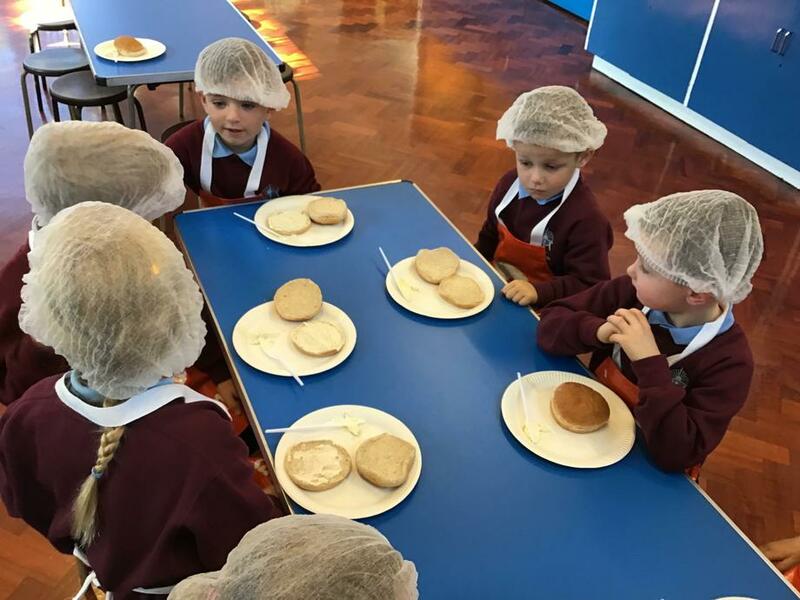 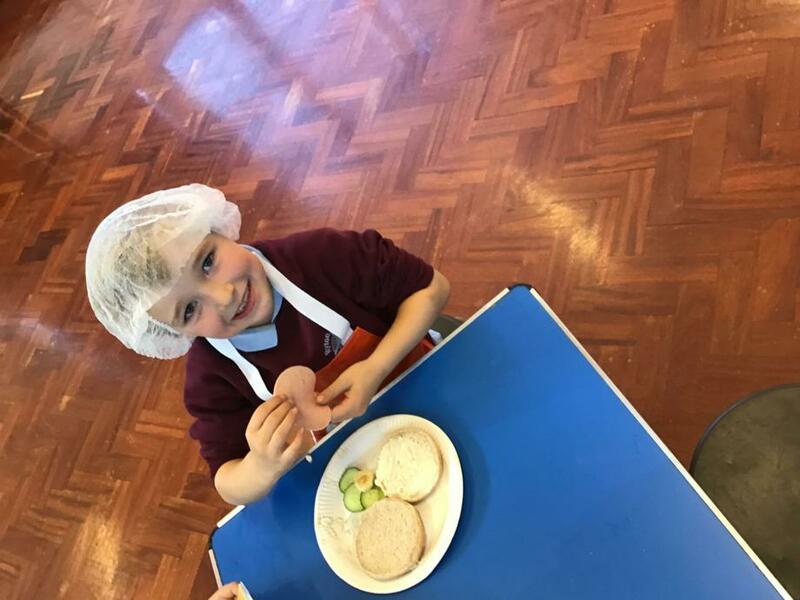 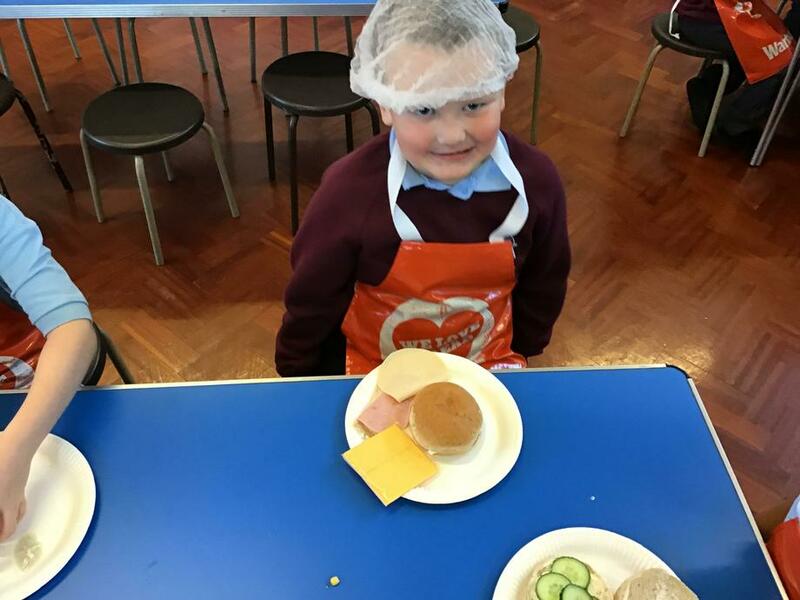 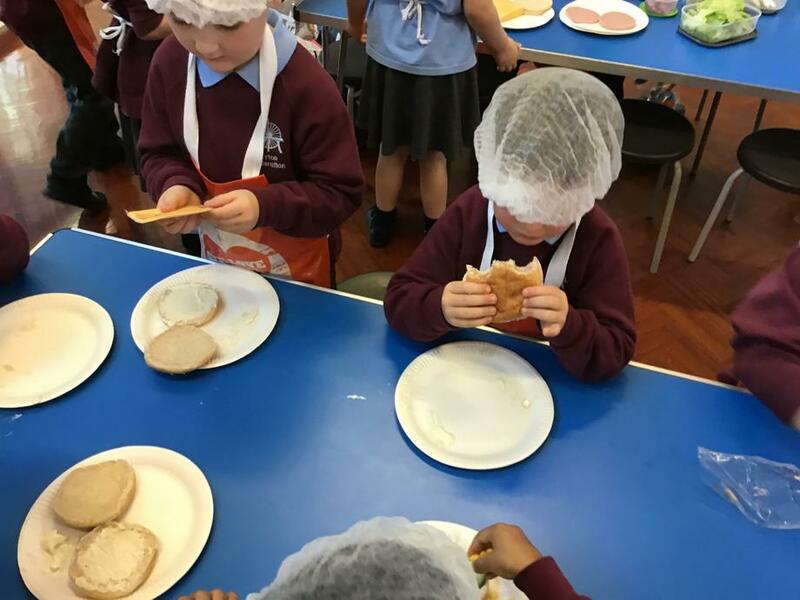 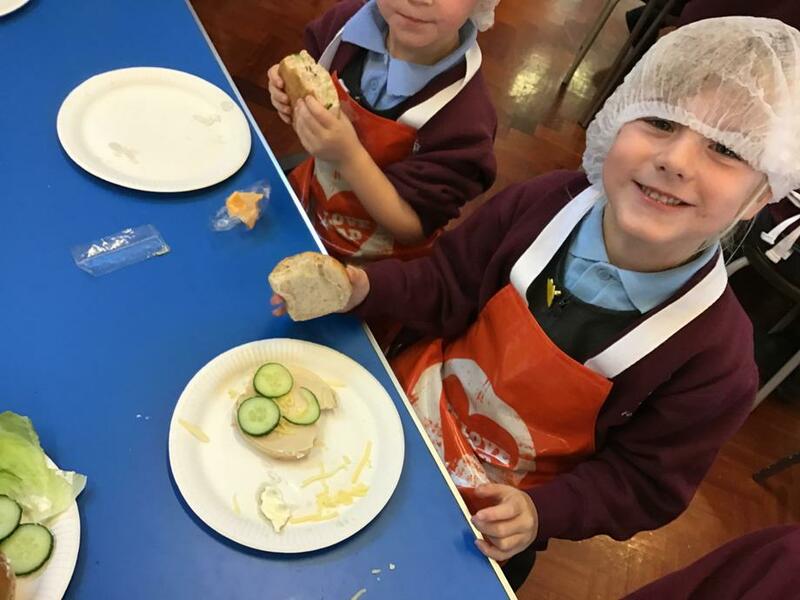 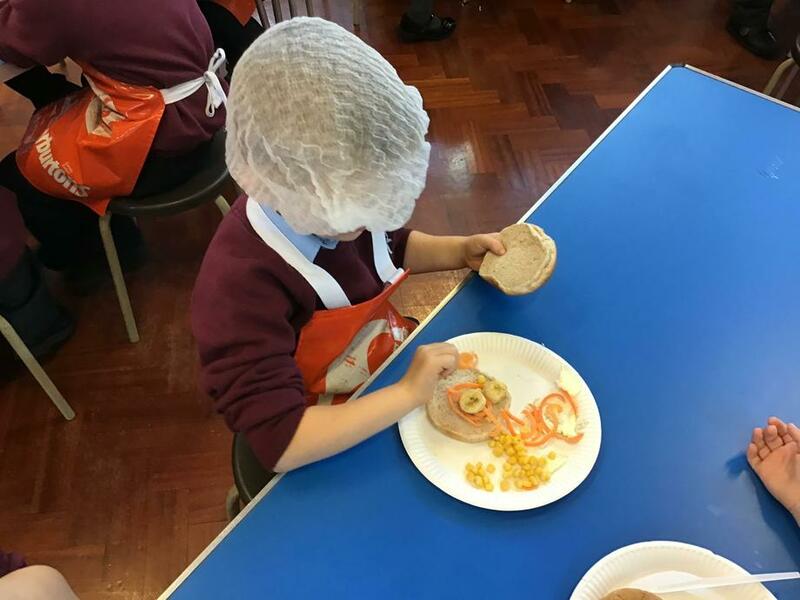 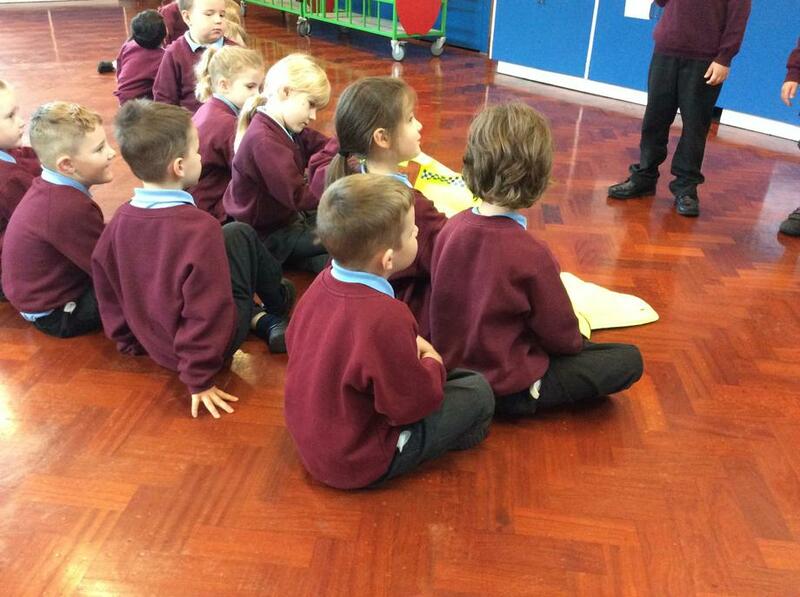 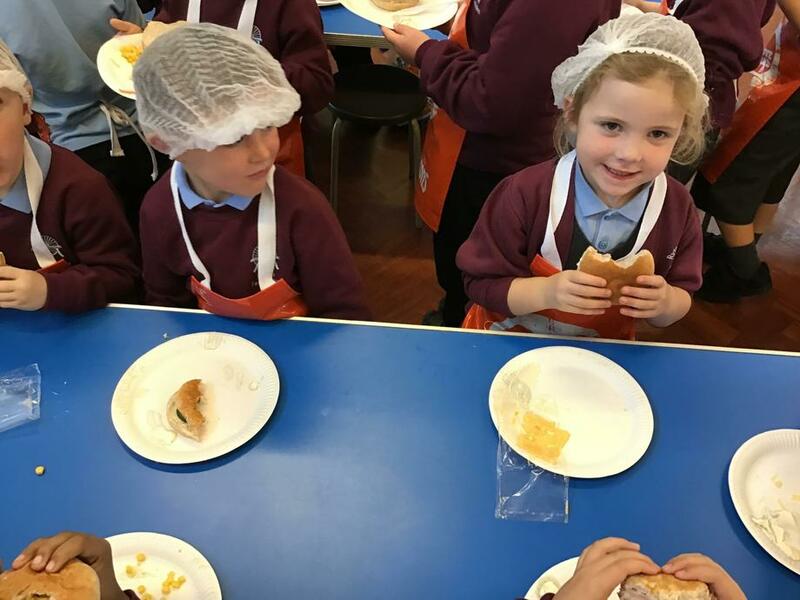 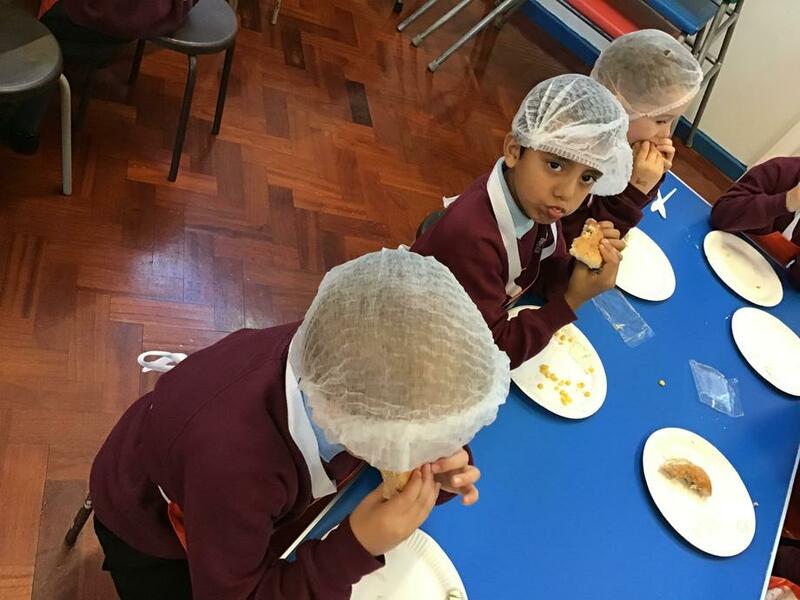 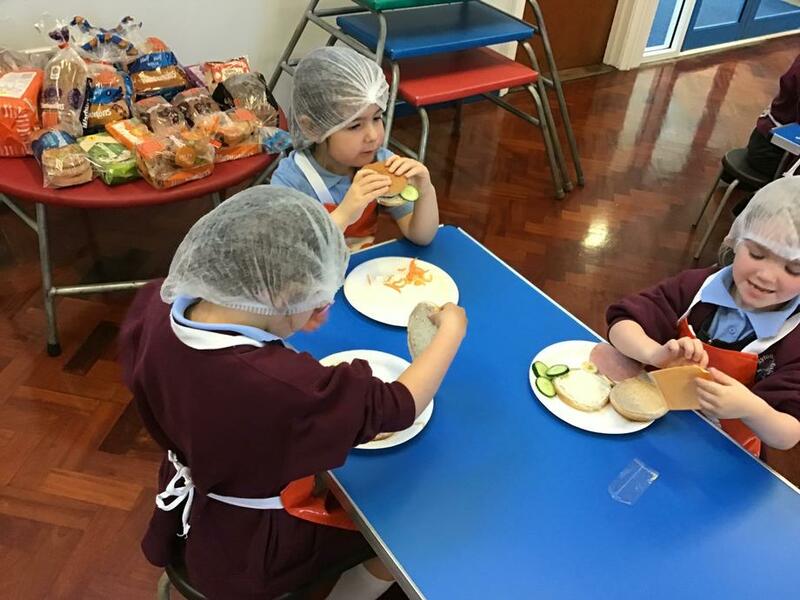 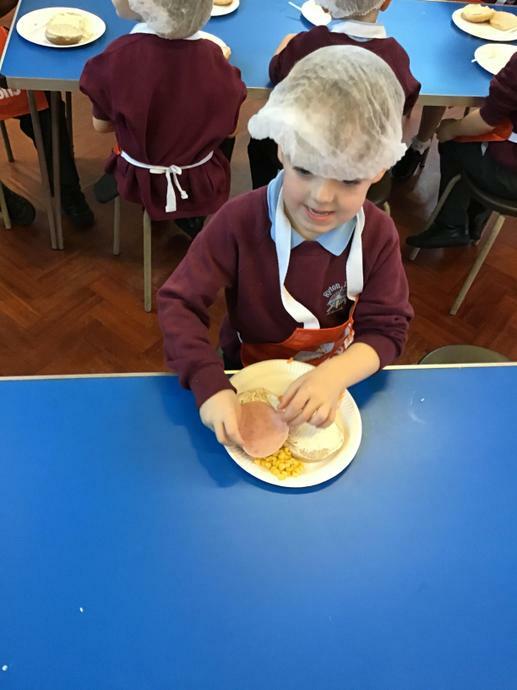 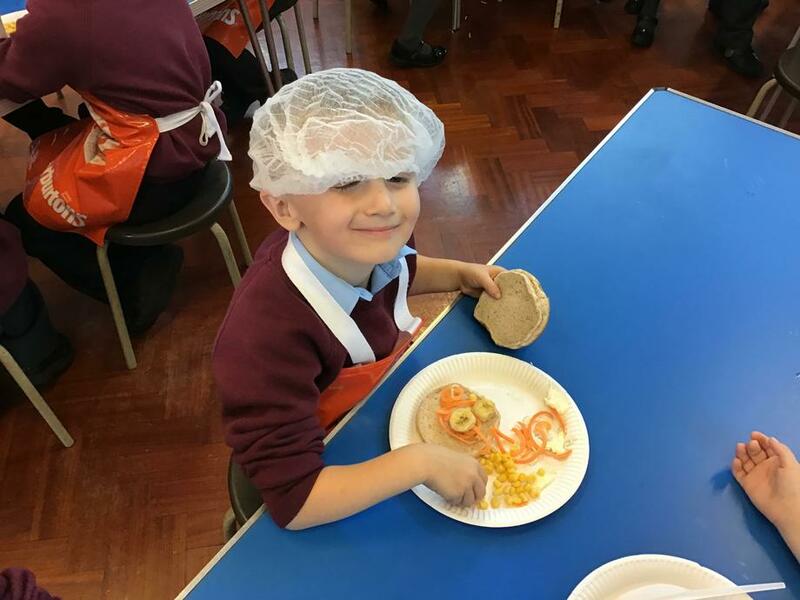 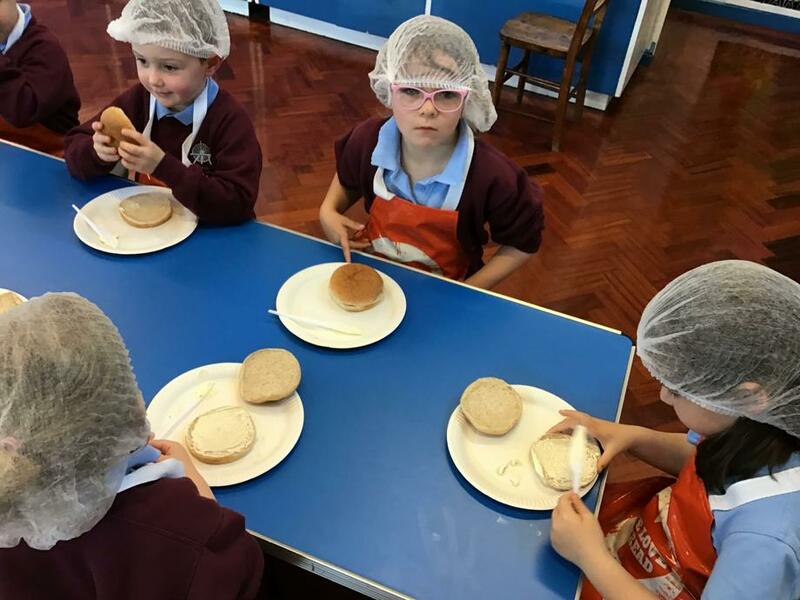 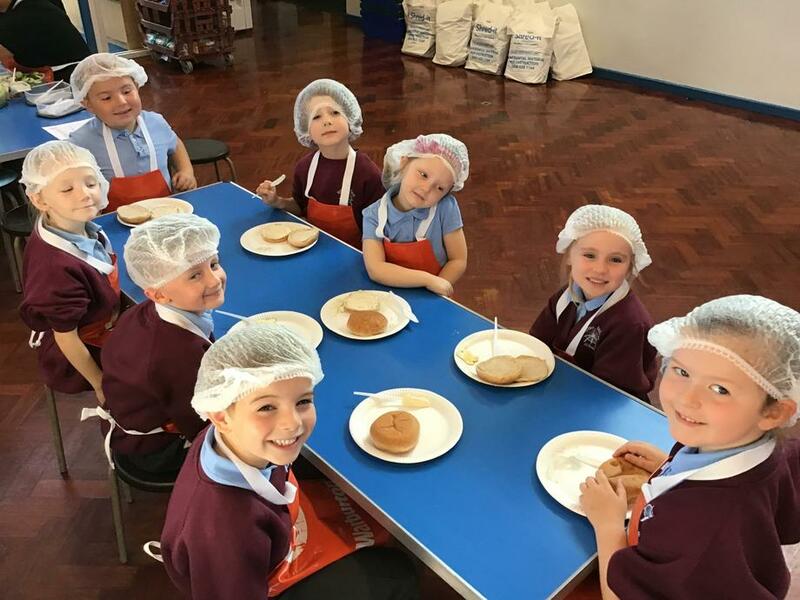 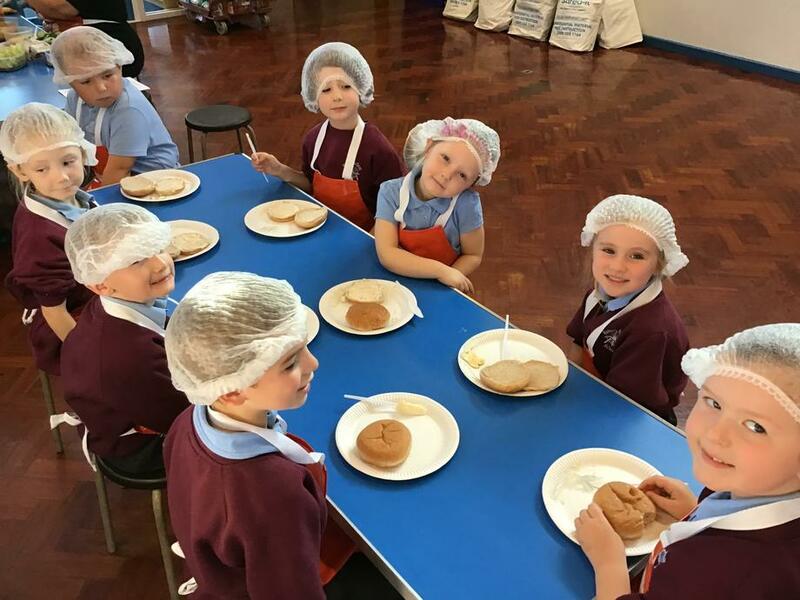 Year 1 took part in a fantastic workshop ran by Warburtons. 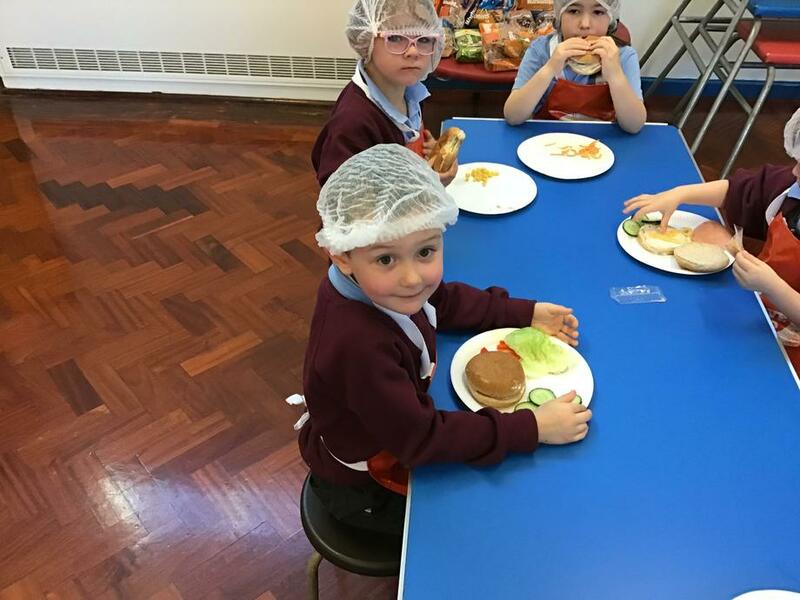 The children talked about what keeps us healthy and how to prepare healthy snacks. 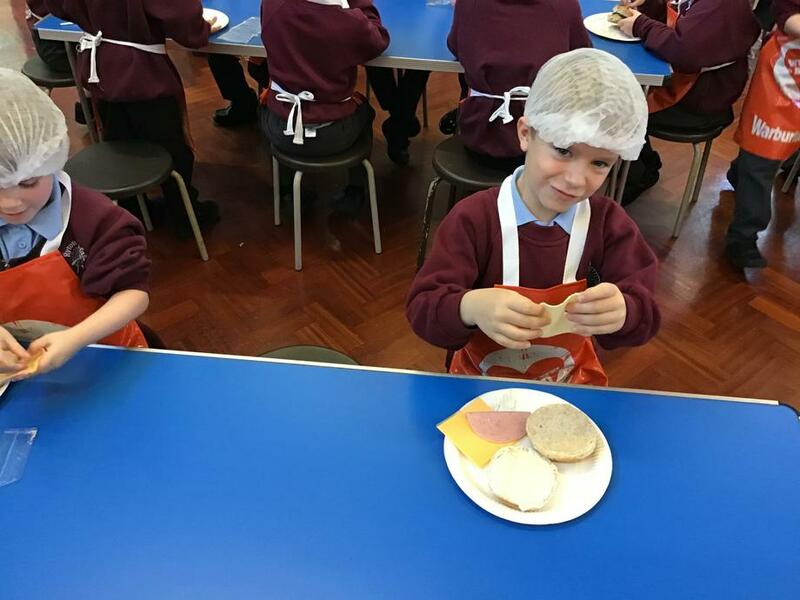 We all made good choices about our sandwich fillings.